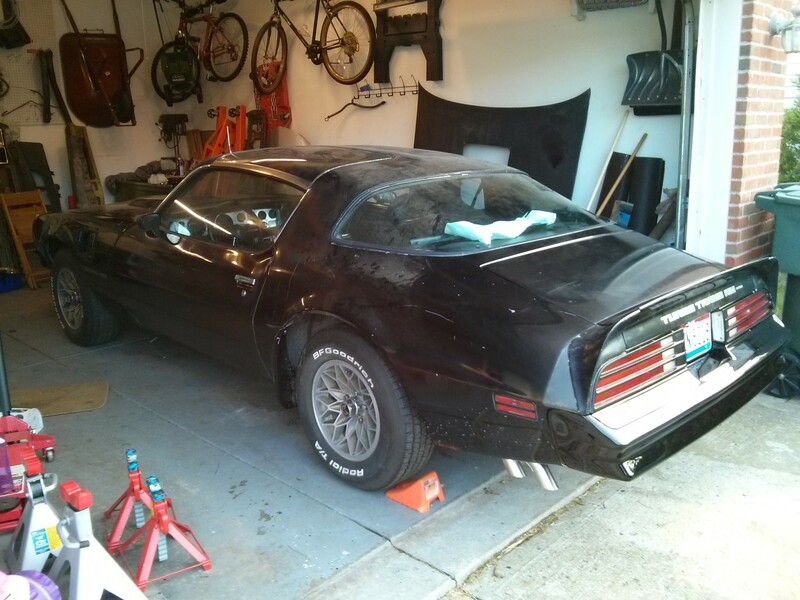 From June up through October, I’ve been working on the Trans Am off and on with a couple roller coaster problems. First, some pictures now she’s driving under her own power! When I first got the motor in the car and I was taking the car on small trips to break in the rings and get things done like the wheel alignment, I randomly had a problem with the upper radiator hose blowing off the top radiator inlet. After the 2nd time it happened, I went to Google to see what could be the problem. It sent me down a goose chase, I started thinking that there could be issues with the water pump, or with the coolant mixture, you name it all the bad things that it could be came up on Google. Luckily I didn’t let that get to me, because nothing on the web actually explained the problem. One fact, the radiator hose would only blow off 5-10 minutes after driving the car. It would never blow off while running. Also important to note that the coolant circulates into the radiator from the engine through the top radiator hose. the thermostat would have been closed when the coolant was very hot, allowing pressure to build once the engine was off between the radiator and the top radiator hose. With this knowledge, you would assume the radiator pressure would be alleviated in the overflow tank. So logically I replaced the radiator cap first. That didn’t fix the problem, but it did lead me to check the top radiator hose was the right hose. 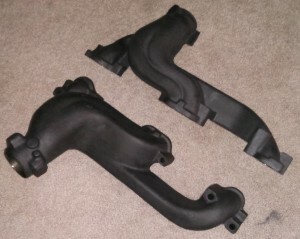 When I first got the car back in 2009, the first things I purchased were new radiator hoses filters, etc… I knew looking at the car that anything of rubber in the car needed replaced. Well somewhere between that time and now, it never dawned on me that the hoses would be slightly different between a Pontiac Turbo 301 and a Pontiac 400, and for the radiator they are intended for. And all this research explained a lot when I took the car apart back in 2010. 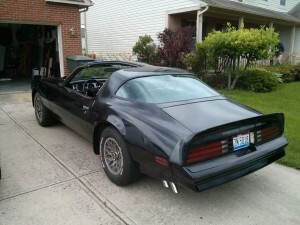 It appears my 1981 Turbo Trans Am originally came with a 4 row radiator, replacement part number 477 if you are looking at a parts store. I didn’t buy this radiator back in 2010, I got the 3 core 573 radiator. I did not plan on putting air conditioning in the car so it made sense to save a little coin at the time and get the 3 core. When I took the core support off, I noticed the current radiator was loose, the rubber mounts were deeper than the radiator by about 1/2″. I ended up ordering new mounts that fit the 3 core radiator and thought nothing of it. Now I know, those mounts were for the original radiator, which someone more than likely had to replace in the lifetime of the car and they replaced it with a 3 core but used 4 core mounts. After all that, I decided lets try a cut to length pre 1979 radiator hose. 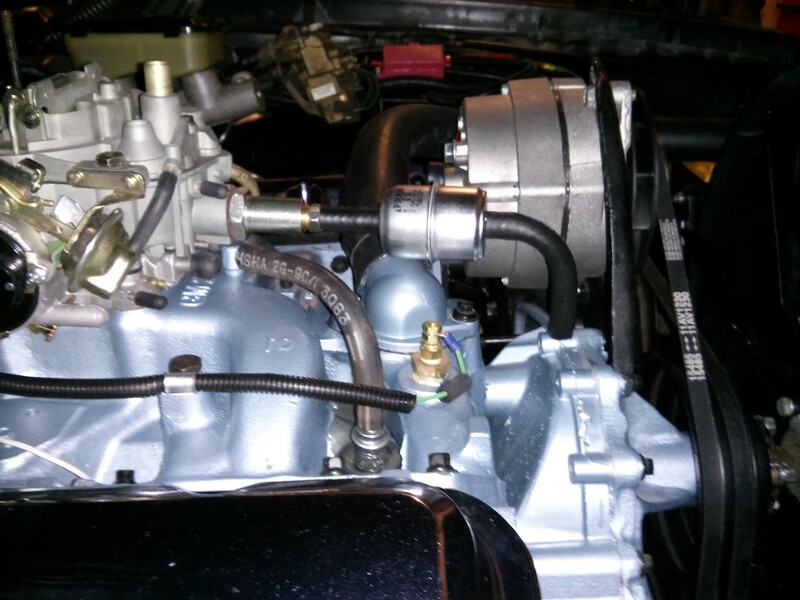 While I was at it, I pulled the thermostat and drilled a 1/8″ hole to allow some coolant to pass through the radiator to prevent vapor lock, but also to allow (in theory) some of the pressure to go back into the motor. The new cut to length hose failed too. By this point I’m getting very frustrated with this hose blowing business. So here’s what really caused my problems. The radiator! The 3 core 573 radiator upper inlet has both a 1.5″ and then a stepped down 1.25″ neck. 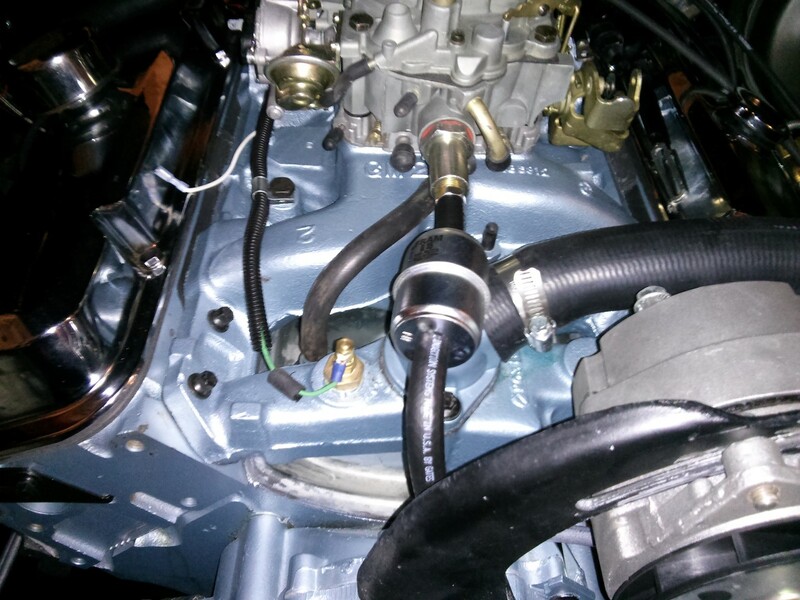 When I used the radiator hose for the 301, it fit perfectly using the 1.5″ second step, but it did not allow enough of the hose to slip over, causing the clamp to clamp around the lip , rather than before the lip. This was the problem! 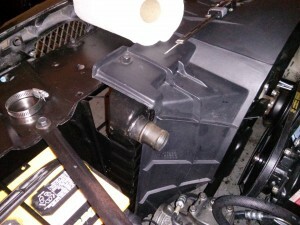 Basically when the engine was off, pressure would build at the top hose, and the clamp wouldn’t hold the rubber because the clamp was not behind the lip of the radiator inlet. 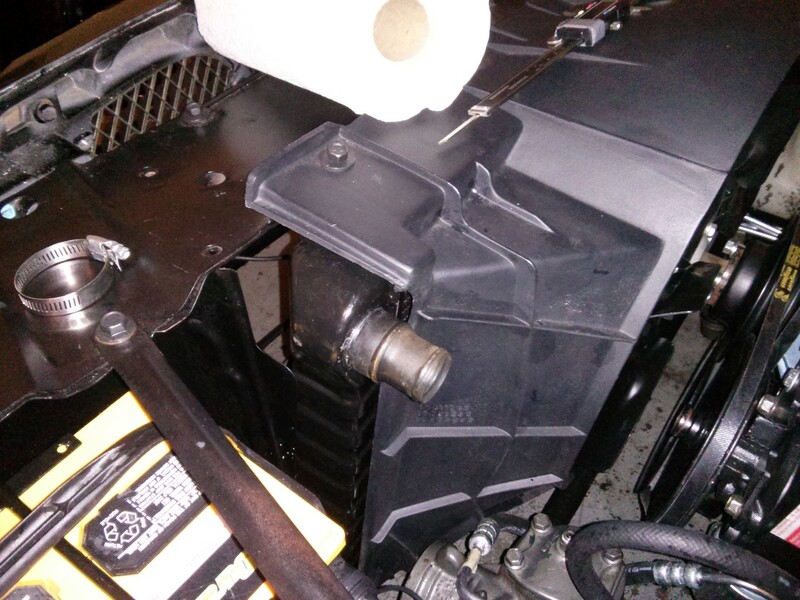 I added a new clamp at the 1.25″ step of the radiator inlet and I haven’t had the hose blow off since. More than likely the 301 turbo hose would have worked just as well, the thermostat didn’t need the drill hole, and the other radiator cap was more than likely fine too. Live and learn! Also note, the 301 / 301 Turbo radiator hose would need trimmed about 2″ at the radiator side leaving a hose with the diameter of 1.25 which would fit the radiator’s 1.25″ 2nd step inlet perfectly. The cut to length Pontiac hose I believe is for multiple model cars. I would say that if your putting a Pontiac 400 into a 301 car you can use the 301 hose just keep in mind the diameter is not 1.5″ throughout the hose like the cur to length hose. 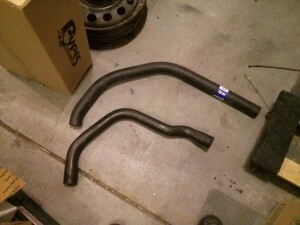 If I were to run a 4 core radiator, I would definitely not use the 301/301 Turbo hose. 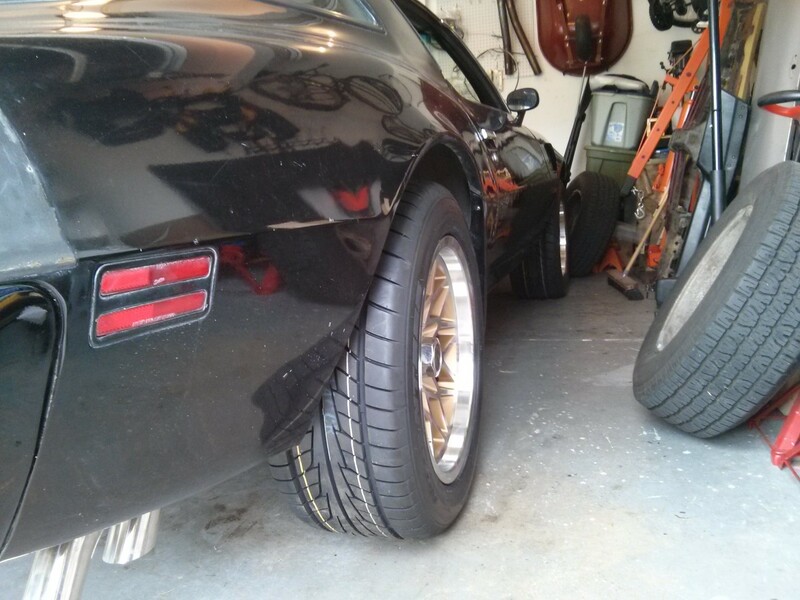 I decided to go with Nitto 555 tires with the 17″ Year One wheels. Once I picked my tires size 255/50R17 , I really only had a handful of brands to pick from. The Nitto NT 555 was the best priced and well reviewed performance tire. If I had the cash, I would have considered the BG Goodrich g-Force T/A’s, but they were just out of my price range. I also considered Kumho Ecsta ASX (and the summer tire SPT version) but ultimately decided that I wanted the performance tire to have better wet traction, which lead me to go with the Nitto NT 555’s. 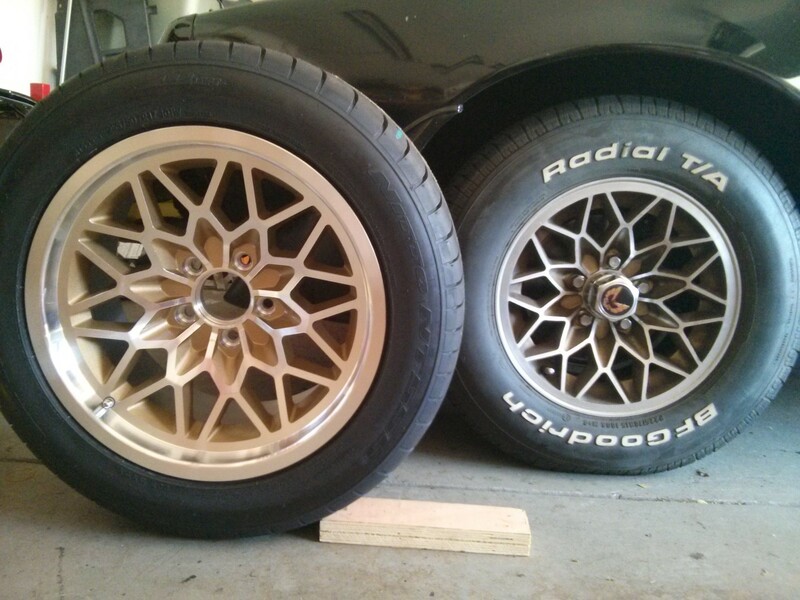 The results are in, these wheels and tires definitely improved the handling of the car. 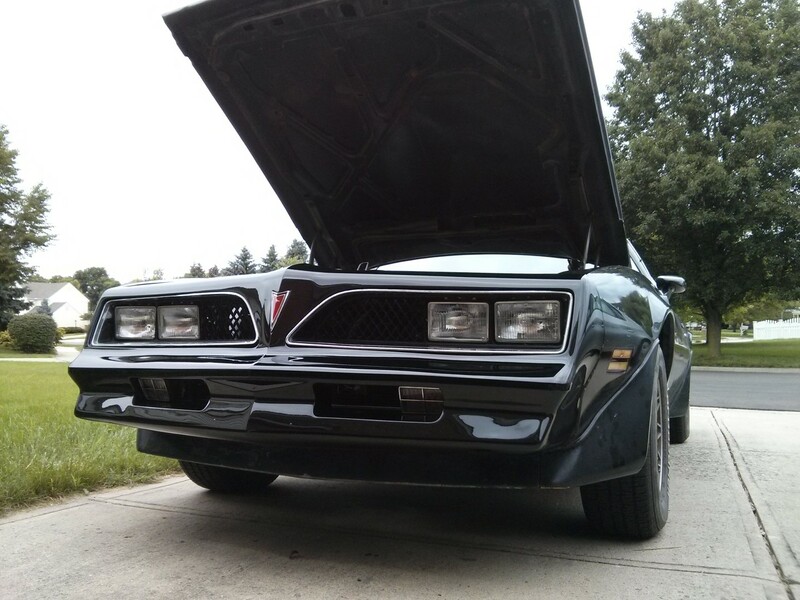 Actually, they amplified an issue with my steering box, which is the next item on this posts list. It is definitely worth the investment. No one makes performance 15″ tires, and even if they did, they will never perform as well as a lower profile tire. Burnouts are harder to do with these tires, the wider profile tires definitely want to grip, which is a good thing. I get an initial rip of the tires, but then they start crawling the car forward, where the older tires, particularly in a turn, could keep letting loose with no traction. I am keeping the old wheels and tires until I get the car painted. In 2012 I bought all new suspension components, at the time I also ordered a Lares (brand) remanufactured steering box from RockAuto. I didn’t think about bench testing it, I just assumed it was assembled correctly and put to factory specs. 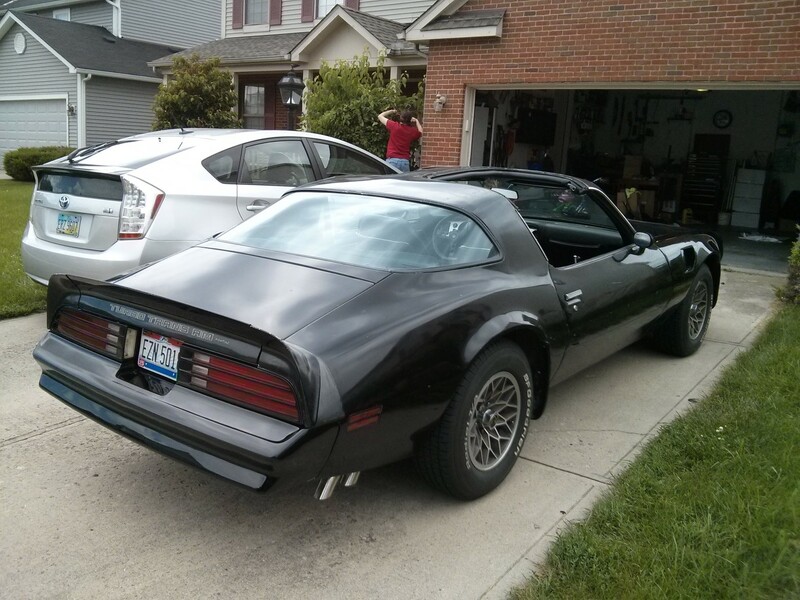 When I finally got the Trans Am on the road this summer, I noticed a lot of slop. At one point I thought perhaps it was my aftermarket intermediate shaft (more on that next) because it did make a bit of noise at the u-joint to the steering column. But once I got that off and put some vice grips on the gear side of the steering shaft, I really noticed the slop in the steering box. It was worse than the steering box I was replacing, which had 156k miles. I think I spent about $80 on this re-man steering box, it was definitely over 2 years ago with no warranty at this point. So I did a little research to see what I could do to the box and found out how to adjust the gear box on a bench using a very low inch pounds torque wrench. $40 torque wrench later (I had to buy a Park brand torque wrench for bicycles, only quality company to sell a torque wrench in the inch pounds needed for this), there was still way too much slop in the box. At this point, I decided to take it to a re-builder to see what was wrong, and I am so glad I did. I took it over to Steer and Gear in Columbus, they are known for rebuilding Mopar steering boxes. They only had it for 2 days and it came back brand new! Apparently something was not seated correctly during reassembly which caused everything else inside the box to not line up properly, causing a “smorgasbord” of issues with the box. All Steer and Gear had to do was reassemble it correctly. When I got it back, it was super stiff, just a slight touch of movement on the steering shaft side showed pitman arm movement. You can’t get any better than that! Driving the car went from being a wobbly mess to a one-hand enjoyment! Steer and Gear did paint the box black, but decided to re-paint it with Dupli-Color Cast Iron gray so it matched my other steering components. in 2012 I bought a reproduction intermediate steering shaft, mainly because it has a new rag joint. It installed fine, maybe too easily. I did not think anything of it until I started driving the car. My buddy Joel noticed that when I would turn left or right, there was a clunk sound in the steering column. While I was fixing my steering box issues, I noticed that the intermediate shaft at the steering column side was producing the noise. After investigating, I found that the D shape coupling was not a tight fit and there was just a hair of space where the coupling could wobble. Though it did not appear to effect the steering, it did make noise, so I swapped back the old intermediate shaft and I’m now living with the old rag-joint. The ultimate fix is to disassemble the coupler end of the new intermediate shaft and put the factory coupler end on it. I will come back to this in a year or two if the steering starts to bother me. As of current though the steering is pretty tight, though I suspect a 156k mile rag joint will not perform as well as a brand new one, it’s not doing too bad either. It was brought to my attention that I should upgrade the fuel filter that I’m using between the fuel pump and carb to ensure adequate fuel during heavy acceleration. 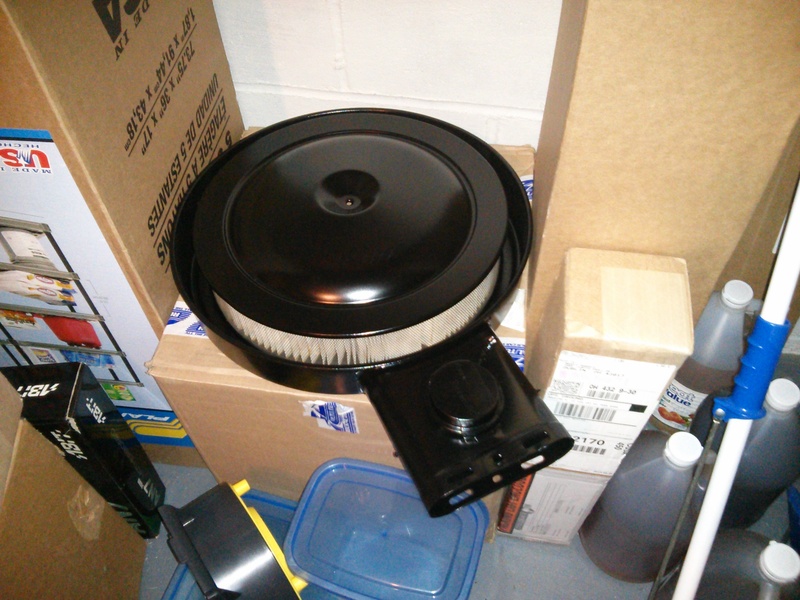 The solution is to replace the factory filter with an inline Fram G15 filter. I thought I had a good idea of having a factory line cut and barbed 4″ before the carb, but my plan did not quite fit the space provided. My last tests I used rubber hose in a bend. I am still not getting the clearance I wanted. Due to other issues I’m trying to resolve, I decided to go back to the factory hard line and factory filter setup, but I do plan to revisit this in the spring. Here are some pictures so you can see the progress. My goal is to have a setup that looks factory. One thing I hate is when you see hoses thrown into an engine bay. You can see in the last picture that I was overzealous assuming the filter could fit in that last section of the fuel line. It almost worked, but was too tight and not serviceable. I also looked at using regular hose, but it quickly kinked. I then tried using a spring to reenforce the hose, but then it lead to the same problem of being too tight, plus at that point it was starting to not look factory. 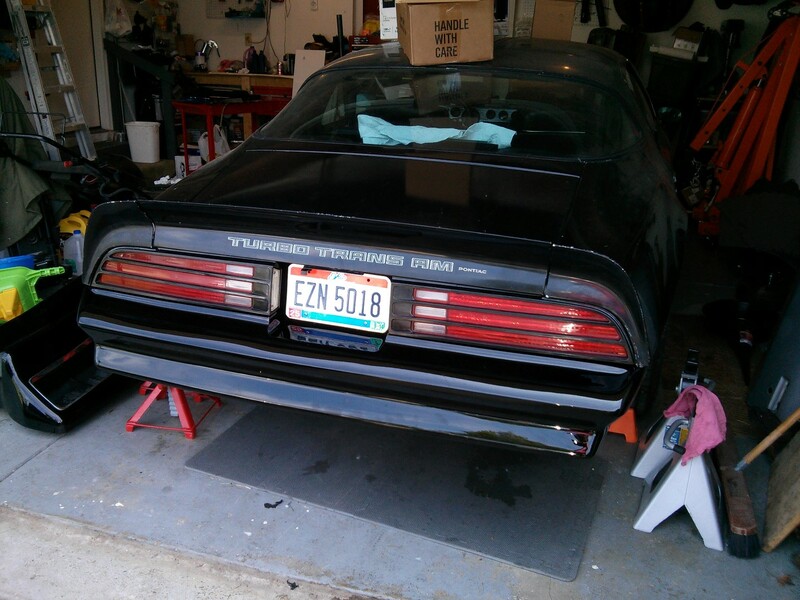 Once I got her on the road, I quickly found the mufflers, which sounded great when I first rebuilt the motor, now sounded like a droning nightmare. 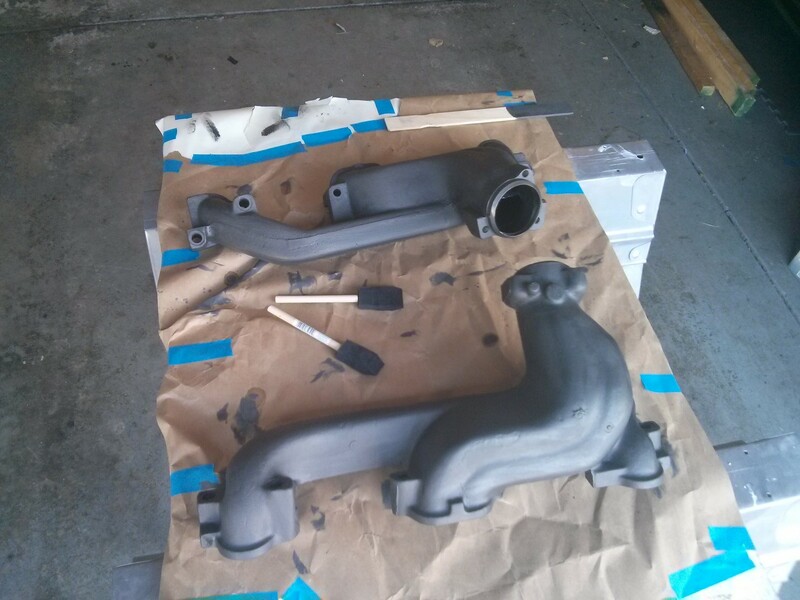 The Pypes Street Pro mufflers with factory log manifolds sounded awesome, but now I am running ported heads with Ram Air exhaust manifolds, the Pypes Street Pro mufflers had excessive amounts of drone inside the car, and outside of the car I sounded like an obnoxious hot rod. I decided to replace the Street Pros with Dynomax Super Turbos, which appear to have quieted down the exhaust, but I still have a drone sound at idle inside the car, albeit low. 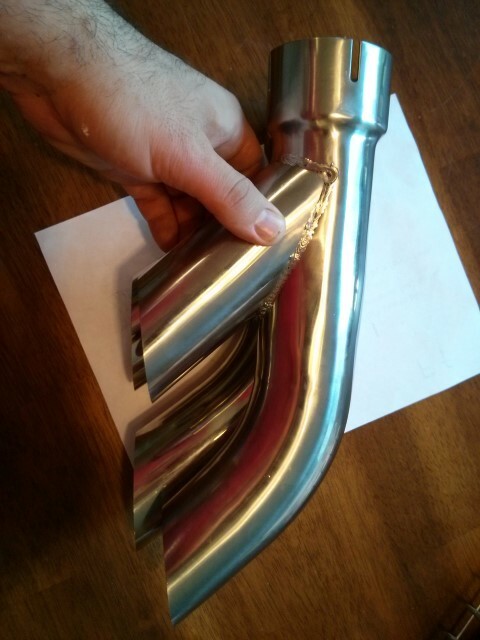 This very drone problem appears to be a problem a lot folks have over at Performance Years forums, and the consensus is that the drone is caused by a combination of using Ram Air Manifolds with the Pypes X pipe. 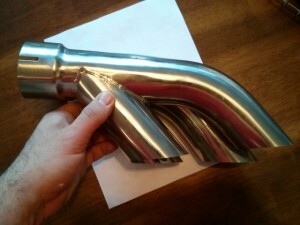 The fix is to run straight pipes rather than the X. 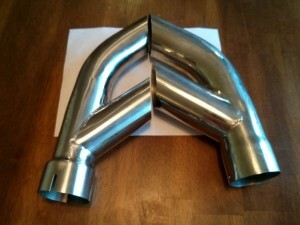 Not an issue I’m now concerned with, I may eventually replace the X pipe with straight pipes in the spring. We’ll see if the drone bothers me over the coming months. At least now I don’t sound obnoxious. Again though I have to say the Street Pro mufflers with the log manifolds sounded quite nice. I suspect the logs cut down the frequency of the exhaust significantly enough that the Street Pro’s rumble was desirable. 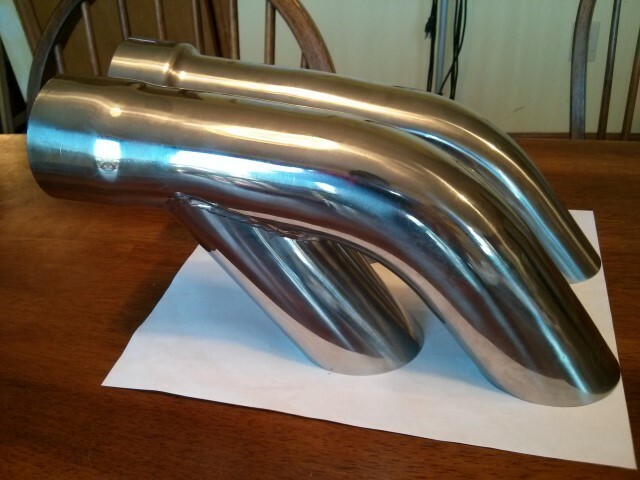 Also important to note, Street Pro mufflers are not intended for street use. 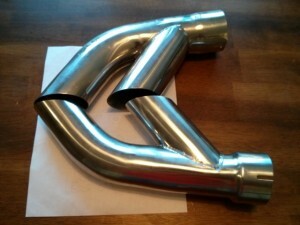 You want a street Pypes muffler, you need to get the “race pro”. Figure that one out. The last of my problems was with my Pertronix distributor. Near the end of the summer I had a hard time keeping the motor running. When I checked it with a timing light, I observed erratic timing. At first I wrote it off as this is just how old cars work. But at one point it really got out of hand. The last time I checked it before I took action, I observed the timing retarding when I revved the motor rather than advancing. I did some research, and I couldn’t find much about the problem, except for a handful of folks who complained about it happening to them with their Pertornix modules, I didn’t have much to go by. I was tempted to order a replacement Pertronix module to see if it fixed the problem, but quickly found that a brand new Cardone OEM replacement distributor is 1/2 the price of a new Pertornix module, plus swapping the entire distributor would be better diagnosing the problem. I did have to order another distributor gear because I have a hydraulic roller cam. 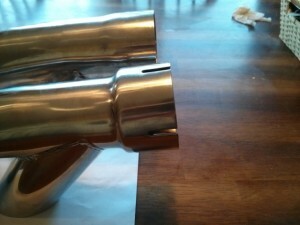 Don at DCI curved my Pertonrix distributor specifically for the cam. I knew my test distributor would never have the right curve, I decided to put an MSD re curve kit in my Cardone replacement to at least get me into the ballpark for testing purposes. The MSD weights and light springs got me pretty close at least. The Cardone replacement distributor worked!!! My timing curve is not quite right, I’m idling at 16 degrees, where I need to be about 20-22, but my all-in at 3,000 is at 34 degrees, and she pulls strong on the street. Lesson learned, ignition modules go bad even if you pay 4x more for the distributor, the quality may not be there. My plans now are to lockout the mechanical advance in my distributor and replace the Pertronix module with the MSD 6530 Programmable 6AL. This will allow me to set the exact timing curve with my computer. It will also allow me to set a few more things, specifically a rev limit. Plus I will be able to adjust all this with my computer, which is something I will enjoy I am sure. 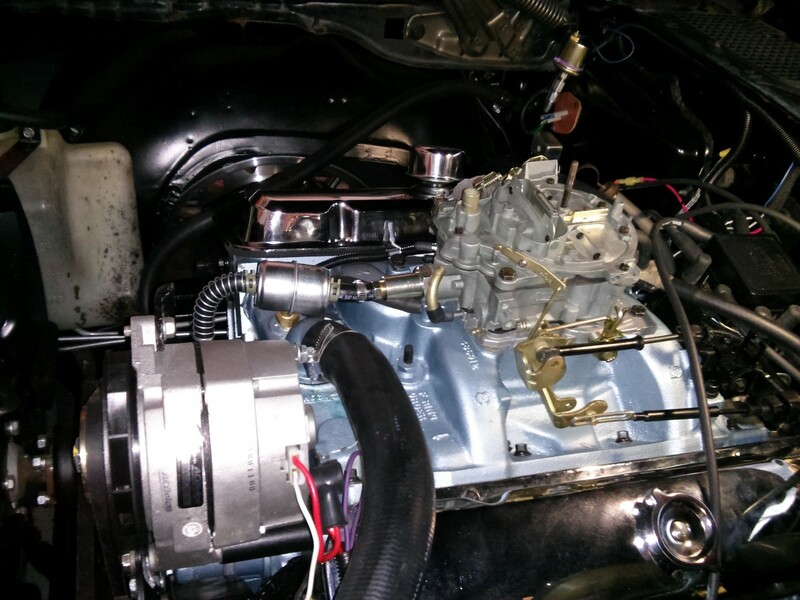 While the Cardone distributor is in the car, the plan is to modify the Pertronix distributor for the MSD 6530 ignition box. 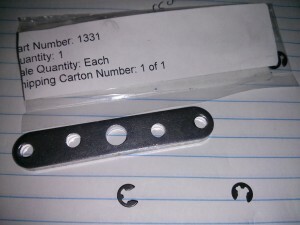 I purchased a lockout plate assuming it would work with the Pertronix distributor. It fits the factory distributor perfectly, but unfortunately the Pertronix distributor uses different diameter shafts for the distributor weights and center plate, so I cannot use it with the Pertronix distributor. At this point I’m not sure if I will use the Pertronix distributor with the MSD module or not, I got a few months to make that decision, but needless to say I feel like I wasted a lot of money on Pertronix and I don’t plan on buying another Pertronix product for a long time, if ever. What would you do if you were me? Would you modify the Cardone for use with the MSD 6530 by using the plate pictured above, or would you take the Pertronix and lock out the advance by welding the advance in? 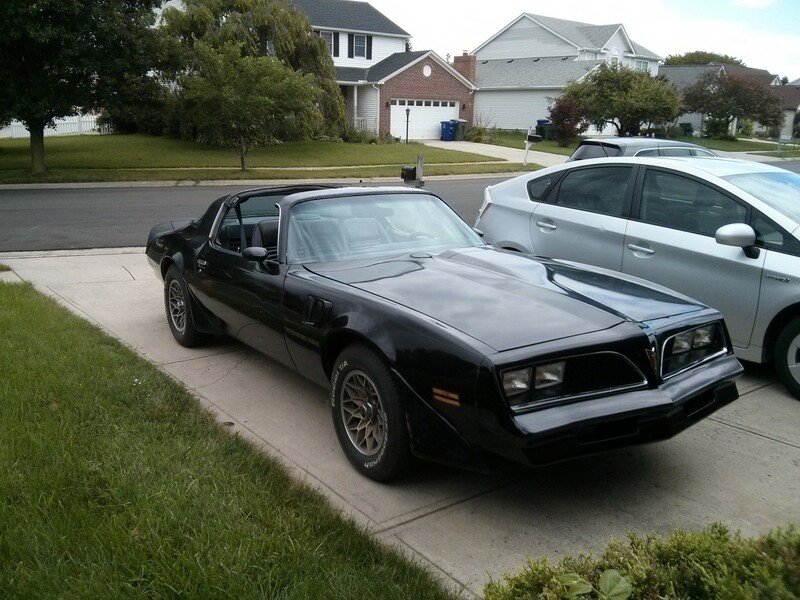 I like the idea of modifying the Pertronix at this point, I have nothing to loose, plus I can keep the Cardone as a spare. 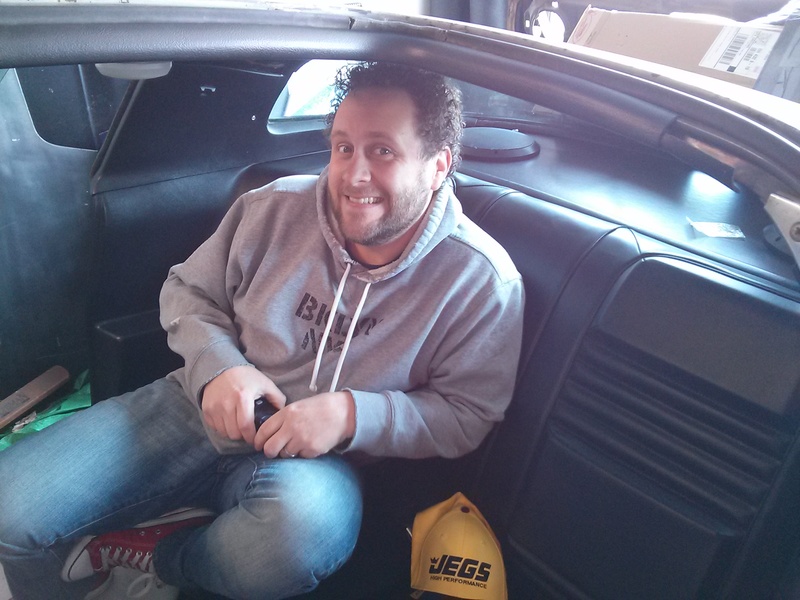 This may be a very cold winter, so I’m keeping my plans inside the car. I have some wiring gremlins to address, specifically with the left turn signal not always signaling when the headlights are on. I also need to swap out the tachometer, replace the headlight switch, get the wipers working, fix the power door locks, and clean up the trunk. Perhaps next year I will get the car painted! 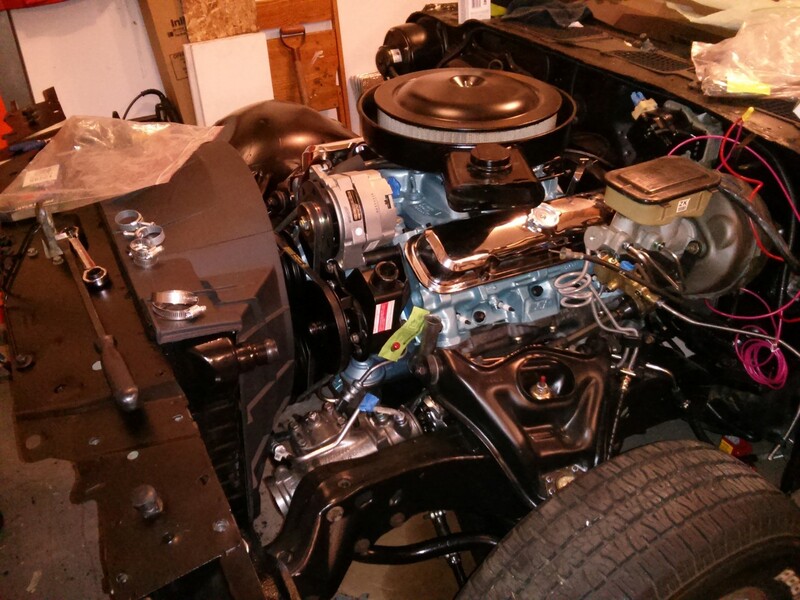 Project Trans Am for May, 2014 – Engine is in! I picked up the Motor from DCI Motorsports at the beginning of the month. Don had it on the engine stand so I could see it run when I came to pick it up. They dialed in the distributor and also tweaked a few other things with the motor before sending me off. It really sounds good, I’ll be posting video of the engine running on the stand very soon on www.dcimotorsports.com. That memorial day weekend my buddy Joel helped me get the engine and transmission installed for one final time. This time around installation went smooth, so smooth Joel was talking on the phone while we lined up the engine on the mounts! All seriousness, it went really smoothly. 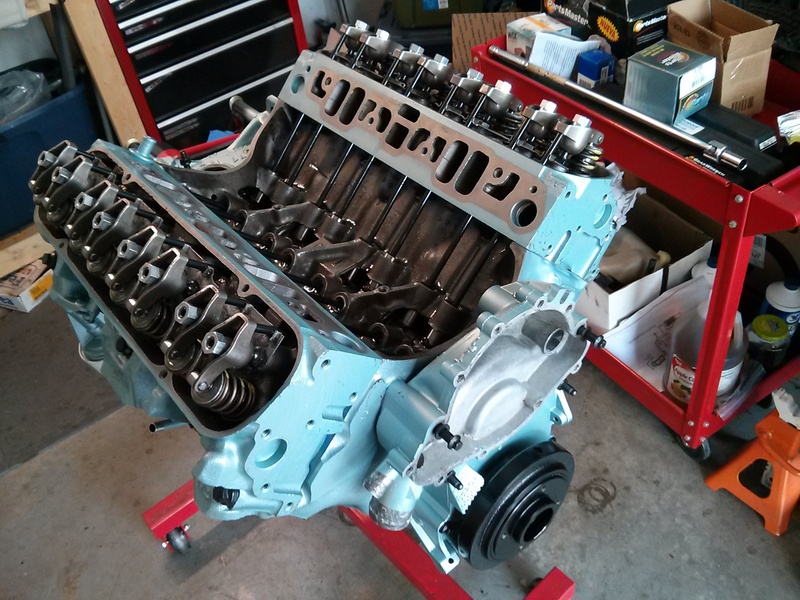 On Friday we spent about 4 hours putting together the engine brackets, mounts, starter, then bolting the engine and transmission together and lowering it into the car. Then we spent another 2 hours on Friday, plus another 30 minutes the following day to finish up with hoses, wires, belts, and such. 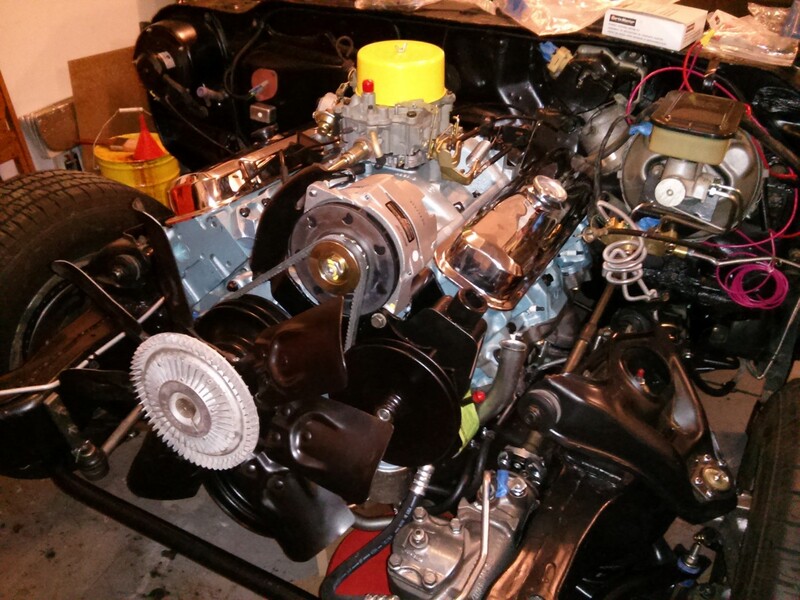 By 10:30 AM Saturday morning we fired up the motor, filled up the transmission with fluid, and monitored the engine oil pressure and temperature. Everything was running as planned, and there wasn’t a drop of oil on the ground! 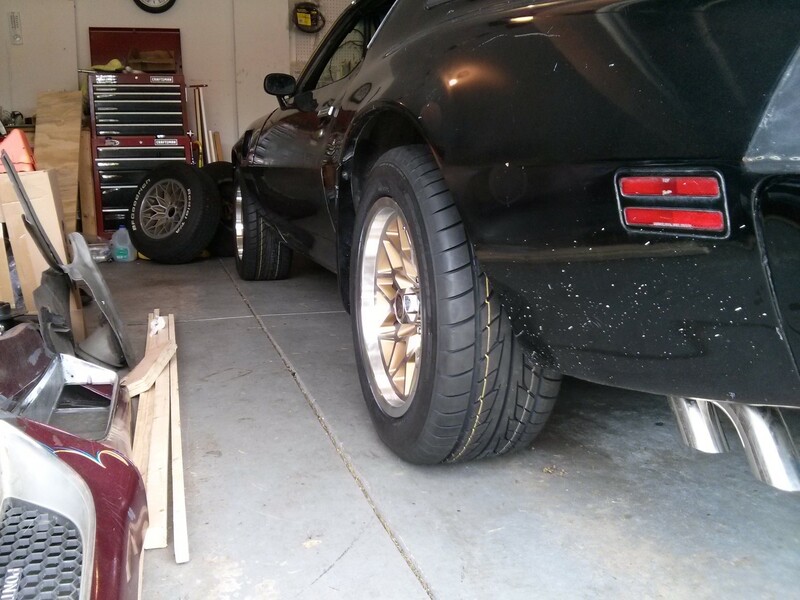 The best part was when we were done, I put the car in drive and drove the car back into the garage. It’s been years since she moved on her own power! The following week I went to pickup the bumpers. Man they look great! Too good actually, they stand out compared to the rest of the car. But that is ok, I would rather have shiny black bumpers and a dull black car then a dull black car with a maroon front bumper and a gold rear bumper. 🙂 THANK YOU PETE! 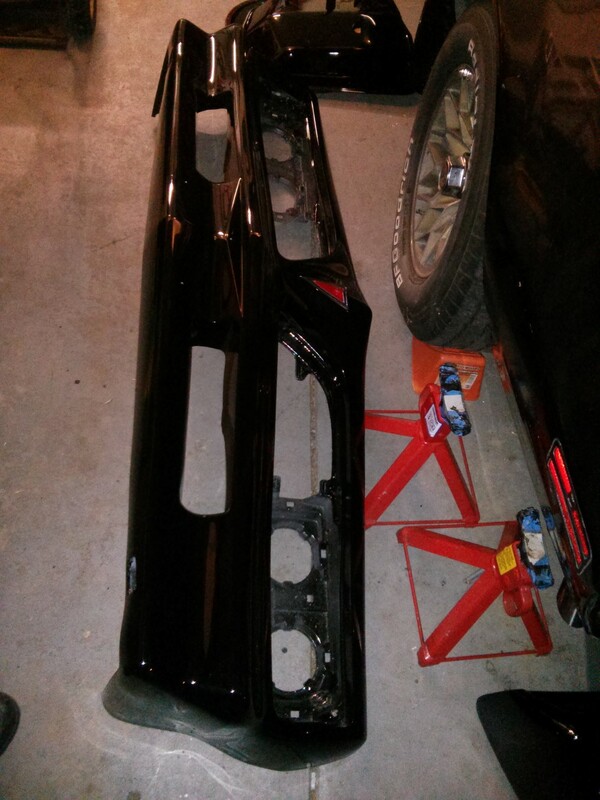 Bumpers, Fenders and Hood Are Back! The last weekend of May I got the bumpers, fenders and hood installed. My dad helped me get the hood on, thanks dad!!! Gaps are not all that great, but for a first time assembly I’m pretty pleased. From what I understand, I may not get them much better than this. For now I am running the 81 Turbo blister hood, but later in the summer I will be ordering a new “shaker” hood, like the one you see in the background of the last 2 pictures. The one pictured has 2 holes drilled near the shaker opening and will cost as much to repair as it will be to replace it with a reproduction hood. From what I’ve been told, the reproduction hoods fit well and have a special coating on them which will make it easier when it comes time to paint. I still have some wiring issues. 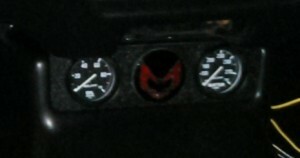 The turn signals are not working when the lights are on, and the tachometer stopped working during the last engine run. I have my work cut out for me with the electrical for sure! 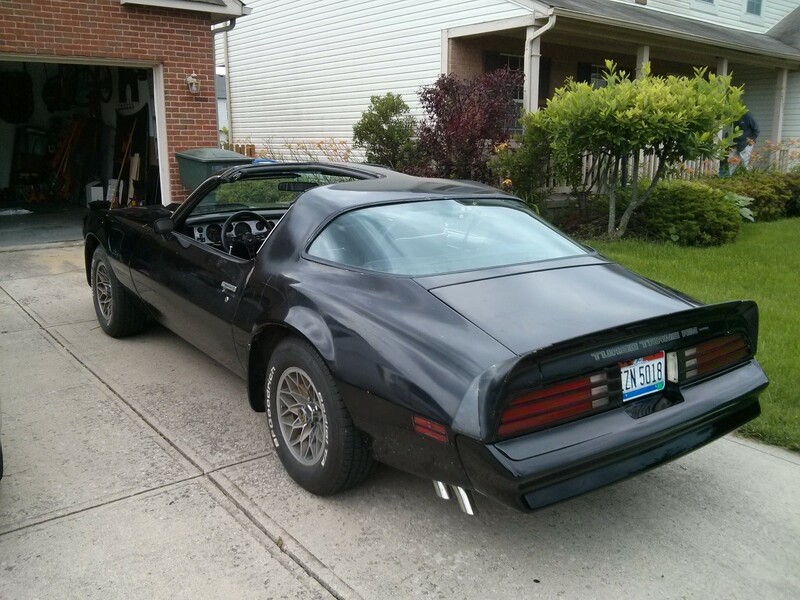 If you haven’t followed this blog, for Project Trans Am I decided on the Pypes brand header back X exhaust system. One of the finishing touches is to add dual chrome exhaust tips. This dual tip look was used from 1967-1969 and from 1976-1981. It is one of the subtle but unique details for any late model Trans Am of the era. Originally I purchased a set of EVT10 Pypes exhaust splitter tips (retail for $75-$100) to connect to the splitter adapter kit TGF10E to convert my Pypes X pipe kit from a Camaro exhaust system to a Firebird Trans Am exhaust system. Though the web site advertises these to have a 2-1/4″ exit tips, the tips are actually both 2-1/2″ in diameter. The extra wide tips make it harder for them to tuck under without hitting either the rear leaf spring or the body. On top of this, the band clamps they came with are not strong enough to clamp the stainless steel. I then decided to try drilling a hole in the tips to try to use a screw to hold them to the exhaust pipe without any luck. Basically, the stainless steel used is so strong, the only way to attach these tips is to weld them on. In addition to the problems with the tips, the TGF10E kit did not fit well with the piping portion that bridges the mufflers to just over the axles. Modification was necessary in order to get these pipes from the kit to fit without rubbing against the under body. I will still have to take my car to a muffler shop to tweak the pipes over the axles if they don’t settle away from the under body this Spring. I decided to order a pair of the 35218 Mangnaflow exhaust tips (retail for about $125-$140) after seeing them in a previous episode of Detroit Muscle (TV show from the folks of PowerBlock TV and Muscle Car). Two days later (they came fast) I had them in my hand and I was impressed. These actually have an inlet of 2.5″ and outlet tips of 2.25″. 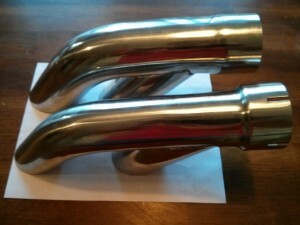 They are also polished stainless steel. They have a straighter profile so you can tuck the tips under the car better. There are 4 relief cuts made along the collar so they can be clamped on easily. They look more like factory tips than the Pypes tips. With all the problems I’ve had with the Pypes system from the mufflers back, if I had to order an exhaust system today, I would buy just X pipe portion and downpipes from Pypes, Texas Trans Am or Magnaflow mufflers, then Magnaflow muffler back exhaust piping and tips. I wonder if it’s even possible to buy such a combination of brands? 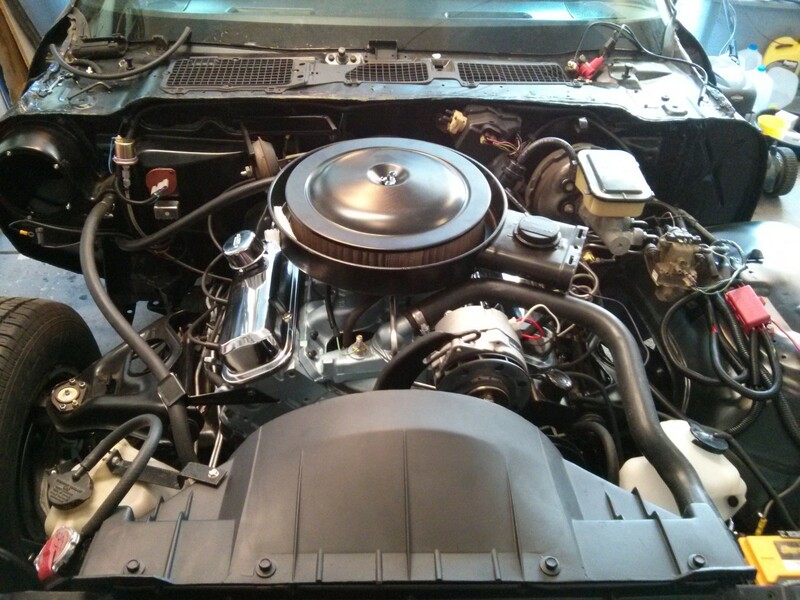 Project Trans Am for March, 2014 – Ram Air Manifolds! Project Trans Am has been on hold over the Winter while I work on the house. This March the weather broke enough to get back to it! 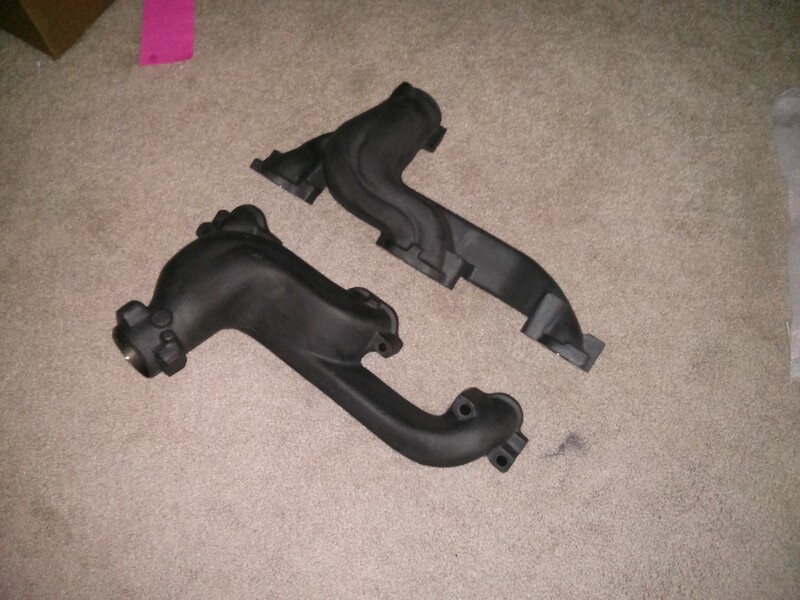 I purchased a set of exhaust Ram Air manifolds from Ram Air Restorations in February. I’ve had my eyes on these manifolds for a couple years, now that I’ve made additional changes to my engine setup I took the advice and got a pair of the over-sized 2-1/2″ exit D port Ram Air manifolds. They are beautiful pieces, lighter than the factory logs and they do minor porting work to match the ports to D port heads. 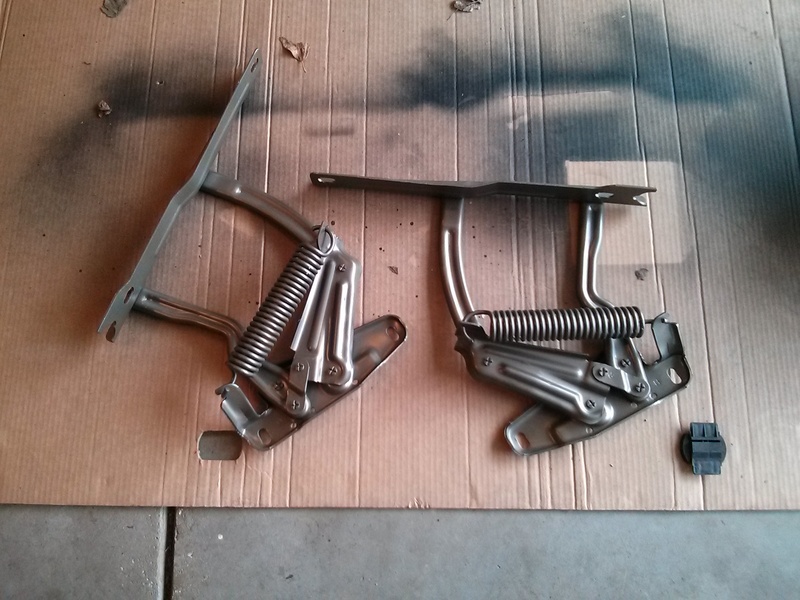 I spent about $400 on them, $30 in Eastwood cast gray hi-temp paint and another $10 in new grade 8 bolts. The folks at Ram Air Restorations include detailed install instructions with a chart of the recommended bolt lengths and hardware. The second photo is after my buddy Joel baked them over night in an industrial oven. This means the paint is fully cured and I don’t have to worry about them smoking when I fire up the motor in May. 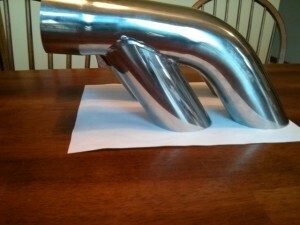 Next month I will get new down pipes to match up with these manifolds. As I said in the fall I took my motor to Don at DCI Motorsports, he reviewed my engine build and discovered the problem with my oil pressure. 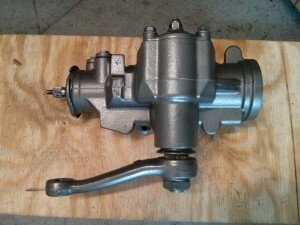 In a nutshell, if had I purchased a blueprinted oil pump from the beginning I would not have had issues. The plate at the bottom of the oil pump did not make a complete seal against the oil pump casting, allowing oil to bleed out at the plate. The pressure was fine when the oil was cold, but was off by about 10psi across the rpm spectrum when warm, so the gap must have been very small since cold oil was not able to bleed out. This more than likely happened either because the casting wasn’t completely true/flat from the factory and/or because I took the plate off to clean the inside of the oil pump and my re-assembly didn’t get the plate on correctly. Either reason, Don blueprinted my pump this time around, so I should be good to go. He did find a couple other problems such as I used the wrong length push rods for the valves I got and the viton 2 piece rear seal was leaking, most likely because the crank wasn’t intended for that type of seal. Since he had the engine, I decided to have it converted to a roller. I will be running a hydraulic roller cam with solid roller lifters. 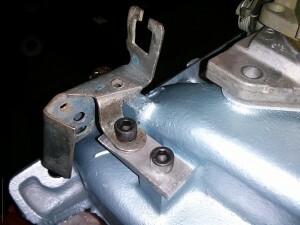 Solid lifters are used primarily because the hydraulic lifters for Pontiac’s are not reliable. I also switched to Harland Sharp 1.5:1 true roller rockers (rather than roller tip rockers), and to match the setup better, I am swapping out the log exhaust manifolds with Ram Air manifolds pictured above. 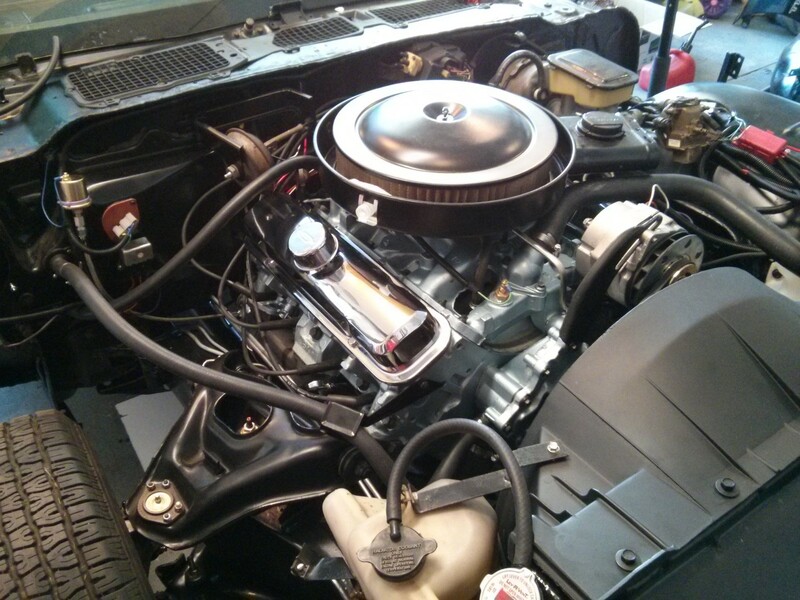 I’m also going to get a different torque converter to match the new engine setup. UPDATE: When I picked up the motor Don explained that he was suspicious of the connecting rods I used as the source of the pressure problems and during re-assembly we swapped in my original cast connecting rods since they checked out ok. Don did replaced the factory rod bolts with ARP bolts. The pressure problem was less likely because of the the oil pump. Regardless, I am now running a blueprinted oil pump with an OEM W72 oil pressure spring, I am seeing 25 psi at hot idle now. 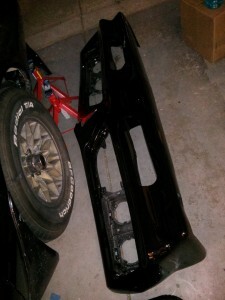 I’m going to be working on my front and rear bumpers next. I have a buddy who’s going to paint them black, all I have to do is fix any cracks then get them in his hands so he can do his magic. 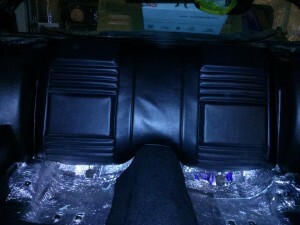 I’ll also be painting a few parts, working on the inside of the trunk and installing a remote trunk release. Factoring in Easter and my planned trip to Carlisle the following weekend, this should be plenty to keep me busy. 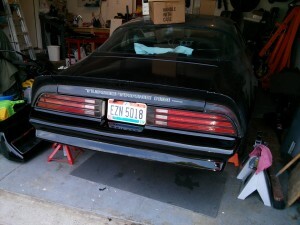 Early may I will be re-installing the motor and tiding up the remainder of the car so I can get her on the road. 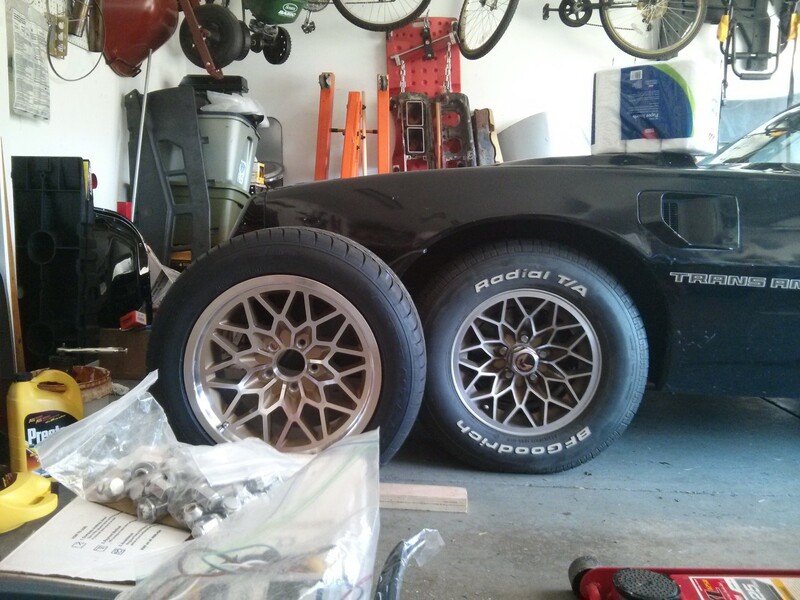 But don’t, worry, I still have a ton of things to do, including wheels and tires, sub frame connectors and some wiring changes. If you are selling Wrenches on ebay, please read this first! There’s one thing that drives me crazy when searching for wrenches on eBay, when sellers miss-label a tool or wrench. I’ve seen folks label an open end wrench as boxed end, combination wrenches as open ended wrenches, and even flare wrenches mistaken as “fancy wrenches”. But it doesn’t just stop there, I see a lot of wacky mistakes, usually ones that if I catch, means I get a great deal on a tool. If you know where the wrench was made, put it in the description. If it is made in America, Canada or somewhere in Europe, if you can mention the country in the title that will help you sell the wrench. Do not be afraid of the origin. There is a tendency to shy away from tools that are made over seas, specifically China. Some tools though have a solid reputation that go hand-in hand with their origin. Take the brand TrueCraft, most of their line of tools are made in Japan and also having a reputation for quality. Inches are noted by following the size with one double quote. For example, 1 inch is written 1″. Metric sizes are referred to with two letter m’s following the size number. For example, 10mm. For the sake of maximizing your listing titles, put these size abbreviations right after the size, do not bother adding a space. ebay’s search is smart enough to separate the number from the double quote character and double m letters. If your tool is using inches, include the words “SAE” in the title, and also include the word “Standard” in the description. If metric, use the word “metric” in the title. Don’t forget to spell check as well, my last great find was from someone misspelling the word metric. There are a lot of tool brand names out there that are of value, but only if they can be found. Misspelling the tool brand name will only prevent your listing from getting the proper exposure that it deserves. Don’t be fooled by symbols in Logos. Kobalt brand tools sold by Lowes are quite good tools. Their first generation made up to about 2002 are highly sought after because they were made by Williams, same company that makes SnapOn tools. Plomb is another brand that is no longer made, but has a cult following. Believe it or not, many folks who don’t know better list Plomb tools in eBay as “Plumb” tools, simply because the middle letter in their logo is an upside down triangle. There are other brands that were spelled wacky from the beginning too, such as PowrKraft, a house brand for the Montgomery Ward department store. If you don’t know how to access the condition of a wrench, say as such in your listing and let the photos speak for themselves. If there is a ratcheting mechanism, try to test it. If it clicks smooth, or makes a weird sound, describe that in the listing. Even a broken tool has value, don’t be afraid to sell and describe a tool as broken, there’s some geek like me looking for parts for their ratchet and what you have may be the solution. The biggest thing I see are tools way over priced. 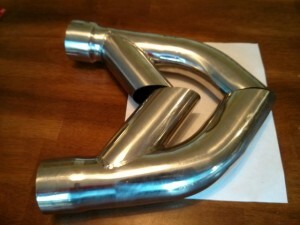 I recommend doing some searches both on eBay as well as on the web for the specific brand and wrench you want to sell. Find out what folks are asking and use a price slightly lower than that. If you truly believe in the auction system, you will have multiple bidders raising the price of your wrench, so there’s nothing to worry about. Lastly, if you plan on selling tools outside of the United States, consider doing some research on the vocabulary for the countries you are targeting. For example, folks from England refer to a wrench as a “spanner”. Hopefully these are enough tips to keep you from listing the wrenches so folks like me can find and buy them! 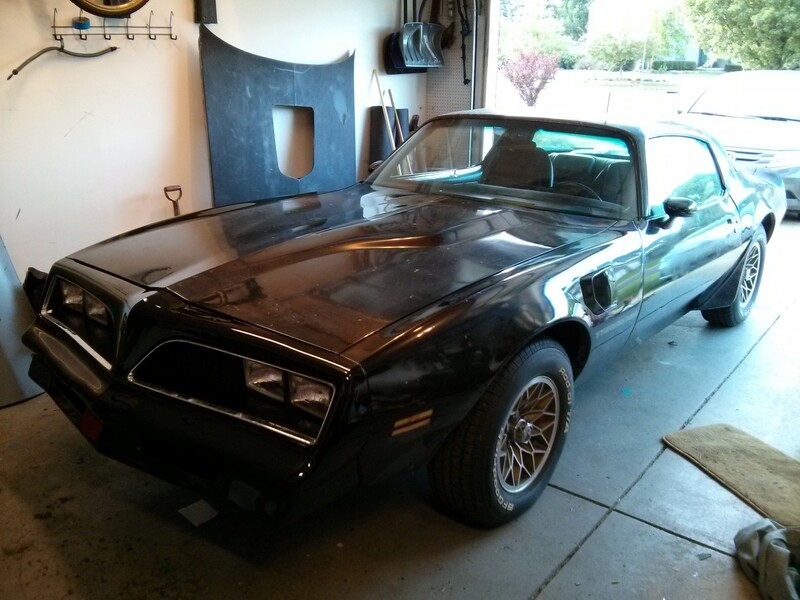 This has been another productive month for Project Trans Am! This was a major pain in the rear. I think the Pypes brand exhaust makes a quality product, but I have to admit that the amount of tweaking I had to do to make the system work in my car was beyond what I expected for the price I paid. Most of the headaches were from the mufflers back. 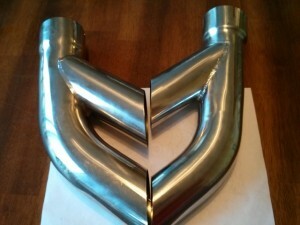 I purchased a second tail pipe kit in hopes to get the chrome splitter tips lined up better with no luck. I will need to take the car to a muffler shop to get the tips welded on. The stainless steel Pypes tips are not capable of being clamped onto the tail pipes, leaving only welding as an option. If I had to do it over again, I would get the 2nd Generation Firebird/Camaro dual exhaust system from Jegs or Summit Racing. This was a rather simple task, or set of tasks. The only problem I ran into was when I tried to bolt on the alternator without the power steering pump. The factory brackets are designed to have both brackets in place, so when I installed them without the power steering brackets, the alternator did not line up. 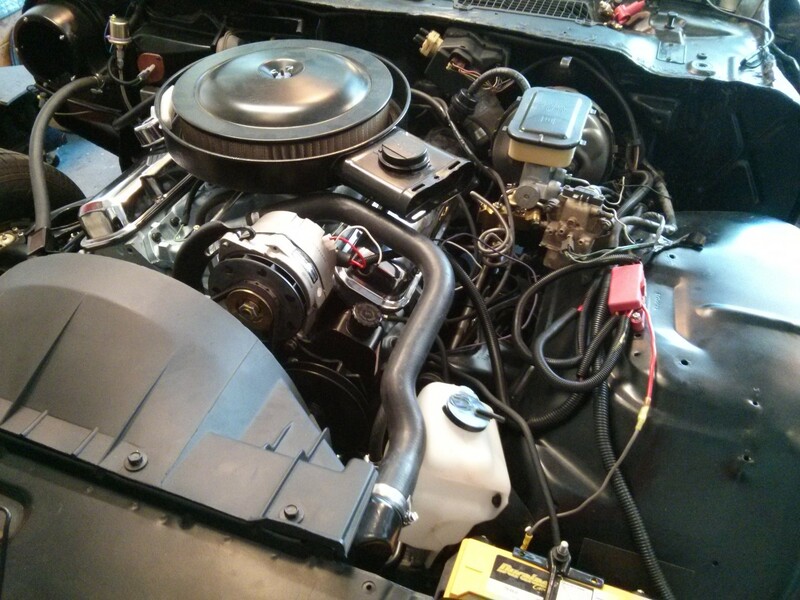 Once I installed the power steering pump though everything went together well. I decided not to run the power steering pump during engine break in and have since removed the power steering belt since I took the pictures below. Installing the core support and inner fenders was pretty simple task. It took some time though since I am replacing all of the body U nuts and body bolts. The engine bay is really coming together now! Installing the transmission lines was the only annoying part. 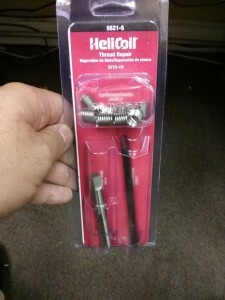 I had to buy a crowfoot 1/2″ wrench in order to tighten the transmission lines to the transmission because I already had the exhaust installed. Had I thought about this ahead of time, I could have installed the lines on the transmission side before running the exhaust. Luckily, the front headlight harness only needed a good cleaning. Unfortunately, I could not say the same for the engine harness. For the Engine harness, I started by identifying all the plugs that needed to be replaced, followed by replacing wire where ever possible. While I was working on the wiring harness, I decided to reroute the positive wires that go to the back of the alternator to a junction terminal on the inner fender. This allowed me to put all of the fusable links in the same location with easy access to repair if needed. Hopefully the fusable links never blow. 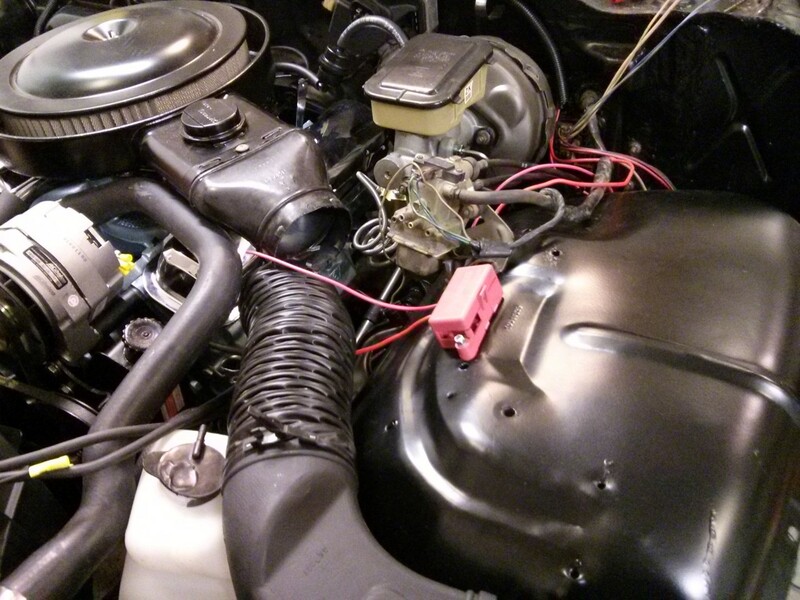 The end result though is a much cleaner wiring system between the alternator and all of the necessary accessories. Here are some details: I used 10 gauge wire between the alternator and the red power junction box you see in the picture above. The junction box is Caspers Electronics 103004, I got it from Jegs here in Columbus. Not shown in the picture is the factory wiring that I rewired plus the 2 additional wires I added for the AC/heater fan (12 gauge wire) and wire to fuse block in glovebox for the stereo and power windows (10 gauge wire). She’s almost ready to start! Stay tuned for September for engine break-in details! Project Trans Am for June 2013 – Interior and Engine Done!!! June was a very productive month, though I did not get as much done as I hoped, some major milestones have been knocked off the list including the engine assembled and the interior finished! Well I shouldn’t say it is completely done, but it is done for now. 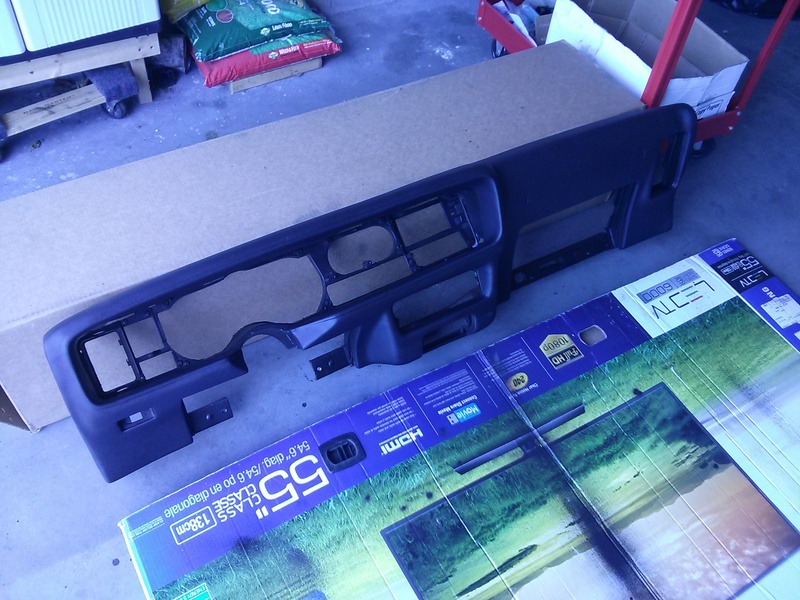 I will have to go back and permanently hang the door panels, I am waiting to do that until after I get the power windows, door locks tested and working, and the drivers door is going to be replaced as soon as I find a good replacement for it. At this point though, the interior is done as far as being able to drive and such. Melanie and Nicholas love playing in the car, and they both have figured out the seat belts! Engine is Done! But not without a fight! Assembling the remainder of the engine actually went smoothly, here are some pictures. My buddy Joel came over to help me install the engine and transmission into the car, we got as far as the flywheel and ran into an issue. Not even 20 minutes into installing the motor and we ran into a roadblock. 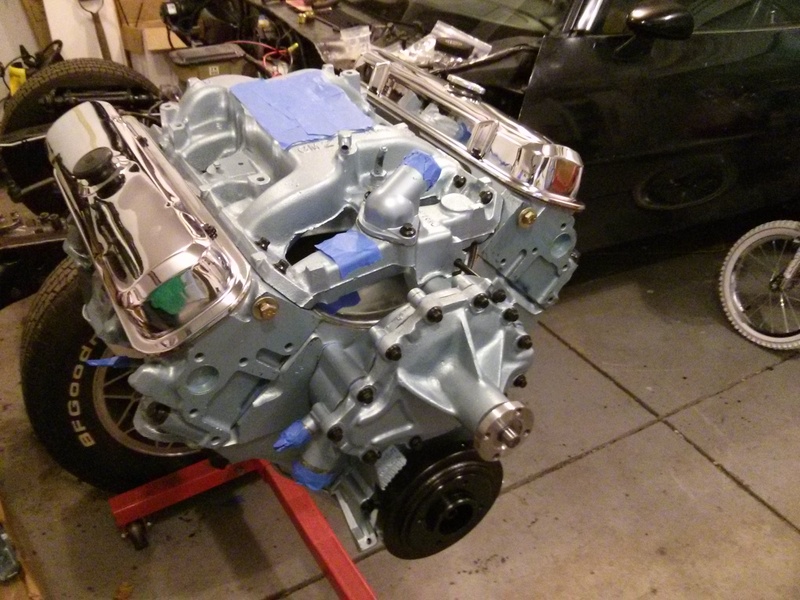 The TCI Flywheel I got had a sticker that said “this side toward engine”. No matter how we turned the flywheel, the bolt holes just never lined up. We tried flipping it over as well, but our assumption that the sticker was right led us to put the engine back on the engine stand. The following day I called up TCI. After describing them what happened, they did their own research, then called me back about an hour later suspecting the sticker was on the wrong side. I flipped it over and lined it up on the old factory flywheel and the holes did line up. Long story short, the sticker was on the wrong side. The other stickers were also on the wrong side, so they went ahead and replaced the flywheel for me. The replacement arrived the last wee of June, unfortunately with birthdays and 4th of July coming up, I will not get a chance to install it until after the holiday. While waiting for the flywheel to arrive, I went ahead and installed a few other non critical engine parts like the fuel pump. While installing the fuel pump, I accidentally stripped the thread in the timing cover while bringing it to the recommended 25 ft/lbs. I had that feeling in my gut this seemed like too much torque and then instantly it just stripped out. This lead me to take the timing cover off and tap the hole with a Heli-coil tap and repair kit. The Heli-coil repair is quite easy actually, I just wish I had a drill press big enough to have drilled it with. My hand drill I just went in at a slight angle. Luckly his is just to hold the oil pump on and the angle is so minute I’m not worried about it. The lock washer has much more angle than this drill job. Anyway the engine is back together with the fuel pump installed ready for the flywheel. Interesting, the “How to rebuild Pontiac V-8’s” book says to use 25 ft. lbs torque for the fuel pump, I found a couple other sources on the web that said to use 10 ft.lbs. After doing some research, the aluminum cannot handle more than 18 ft. lbs., and 15 ft lbs is what is used for the water pump that is also bolted to it. The service manual makes no recommendation on toque for the fuel pump, I assume because it is a non-critical engine part. 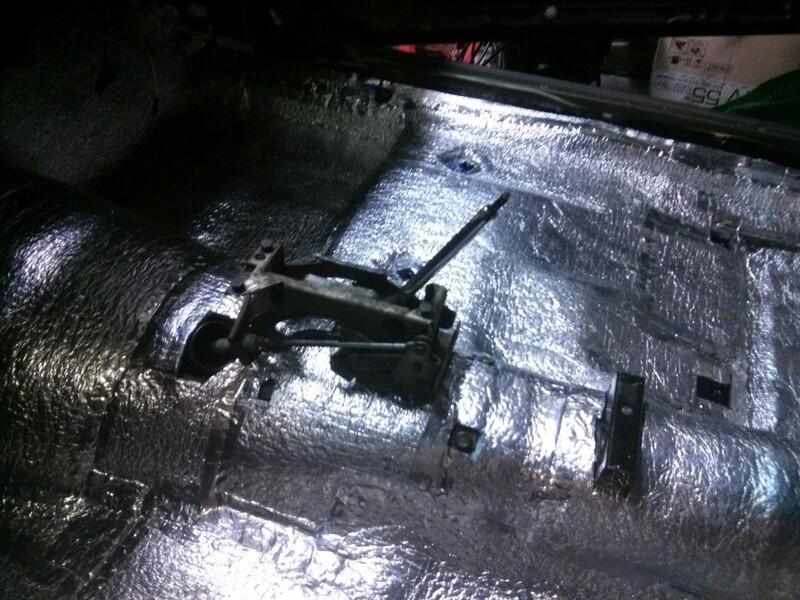 The heli-coil instructions say that a minimum of 7.5 ft lbs is required for the fastener to hold, so I decided on 12 ft lbs, which is also what the oil pan uses into the aluminum timing cover. That is still less than 1/2 the torque from the “how to rebuild” book. 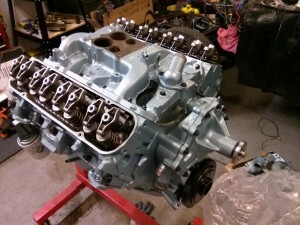 Get the engine and transmission installed! Everything but the drive shaft is ready for installation, so next week I will investigate getting the drive shaft rebalanced and getting the u-joints replaced. 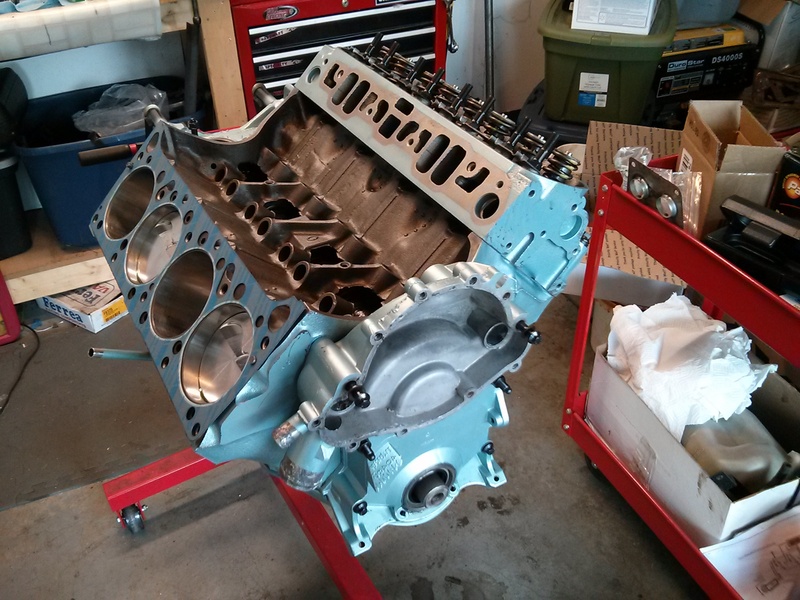 Even without the drive shat, I should be able to install the engine with the transmission very soon, pretty much just waiting until I can get a buddy to come over and help me (Installing an engine is not a 1-man job). 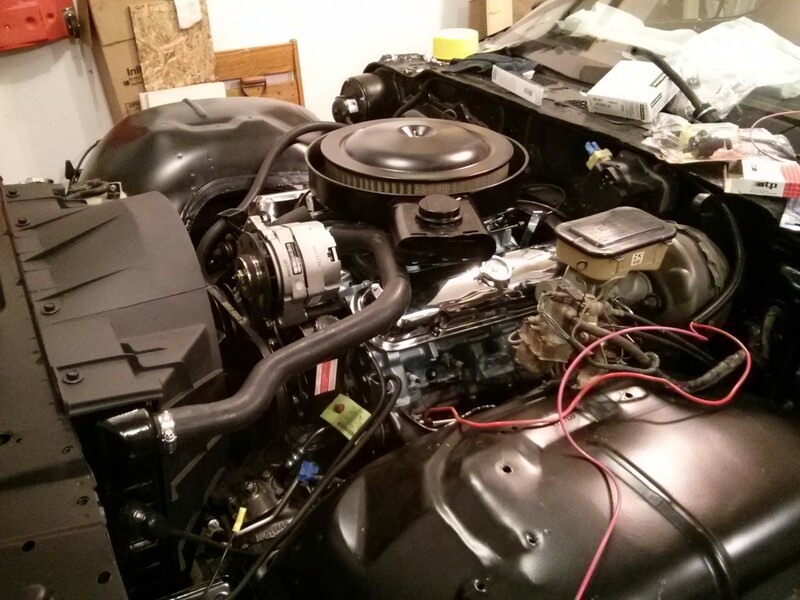 Once the engine and transmission is in the car, I have a couple weeks of installing the drive shaft, exhaust system, radiator, coolant hoses, transmission lines, wiring and throttle cables. The plan now is to have the car ready to fire by the end of July. May was not so productive, between family plans and work, not much got done. Never the less I did get a few things done. 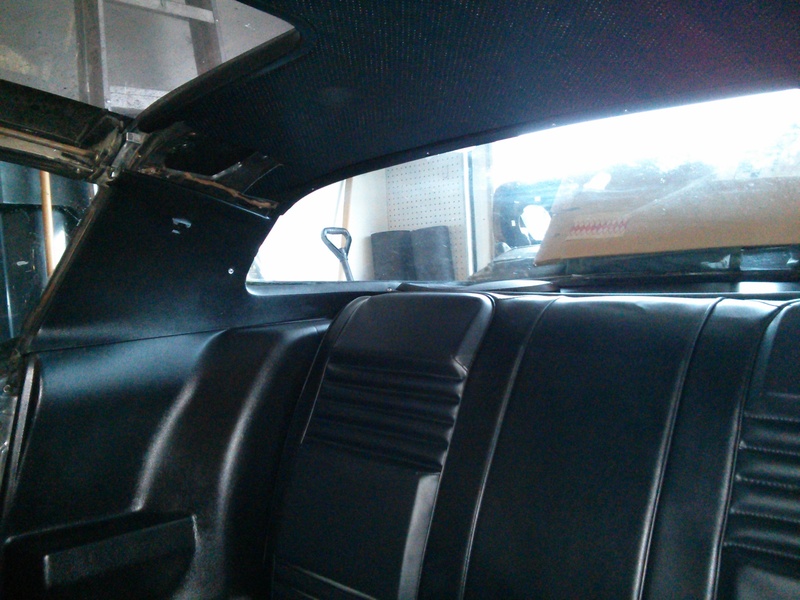 The remaining interior trim is now installed, including the t-top trim, pillar trip and such. 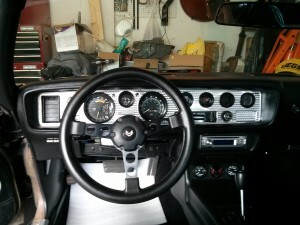 I also installed the center console while I replaced the center console gauges (more on that below). This leaves the steering column, seats, and seat belts. 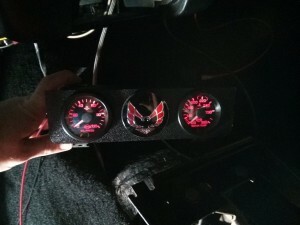 While test fitting the center console gauges I discovered the gauges I got would not adapt to the 1/8″ NTP hose that I ran through the firewall. While searching for a replacement oil pressure gauge, I discovered a brand called ISSPro, which look nearly identical to the factory gauges. I ordered both an oil pressure and water temperature gauge. They look sharp! I also decided instead of running a 4′ long braided line from the gauge to the engine, I decided to get two 2′ braided lines and a firewall elbow. This gives me more clearance at the firewall and it also looks much more professional. 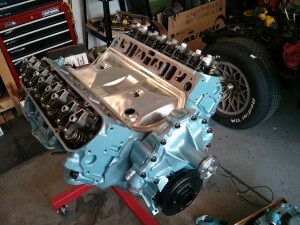 I learned how to mesure the cylinder head CCs using a kit from Jegs. I made a few measurements in a few cylinders and they avreeage between 93-97 CC’s. I was conservative on my measurements as well, so they are more than likely 2 CC’s more than actual measurements, so 91-95 CC’s. 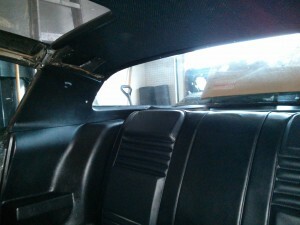 Finish the interior and get the motor with transmission in the car, all hopefully by Fathers day! April was a very productive month! Thanks Bryan for coming down to help me install most of the interior!!! 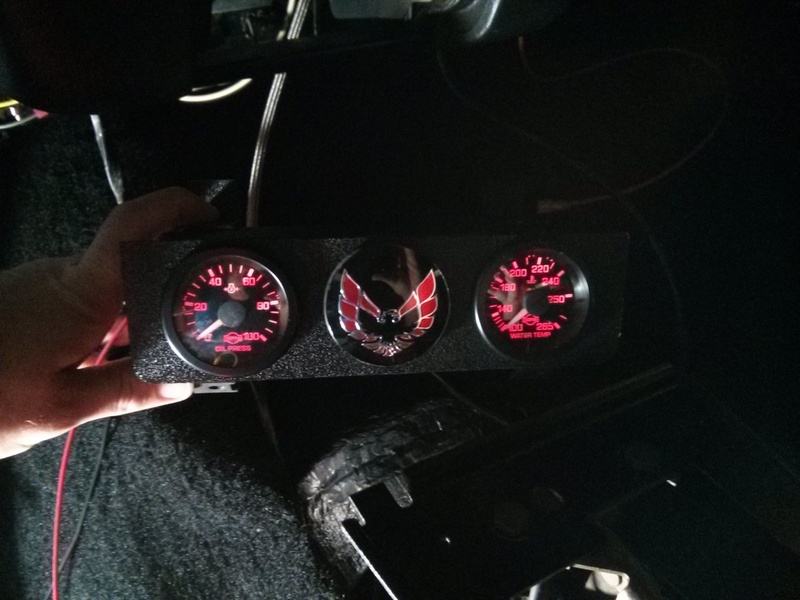 In March I started working on the dashboard, my original plan was to cover it with a dash cap made by AccuForm. I got the dash cap last year, at the time I did a quick fitment test and thought it was going to work. 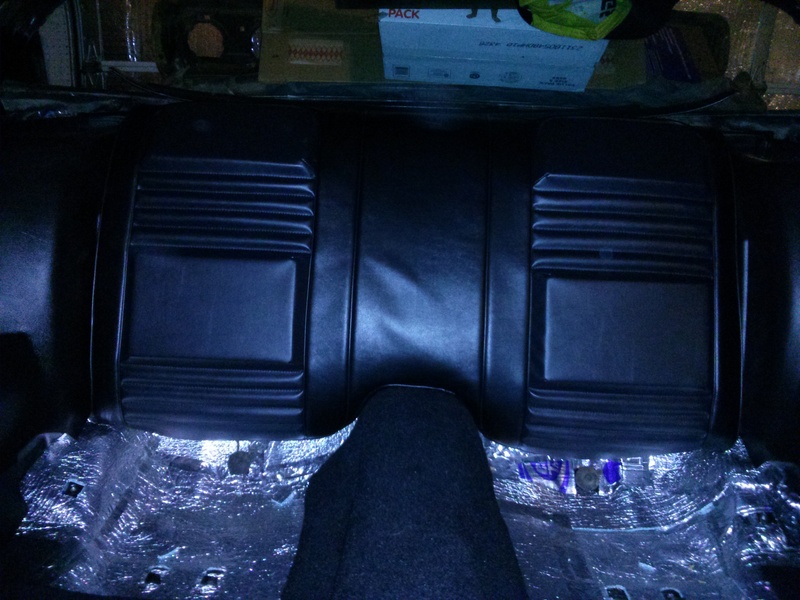 When I finally got ready to glue the dash cover, I quickly found gaps and fitment issues, mostly around the top left drivers side corner of the cover. The cover not only didn’t fit my 81 dash, it also didn’t fit the 2 other dashes I have, one from an 80 and another from a 79. After contacting the manufacturer, they sent me another cap to try. 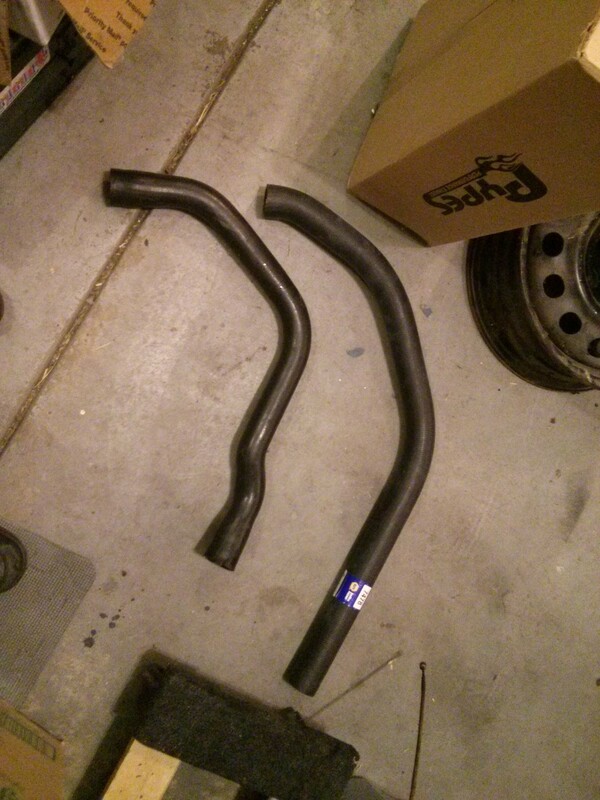 The replacement was identical to the first one I had, with maybe 1/16″ adjustment, not nearly enough to fit well. I promptly called them with measurements of where the cap was off, with 1 spot as much as 1/4″ misaligned. 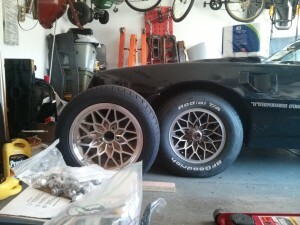 A week later they told me they can’t help me any further with the fitment issue. I then did some research and found another dash cap made by Palco. When it arrived I quickly noticed that the plastic was thinner than the AccuForm version. Upon test fitting, I found it fit my dash perfectly. 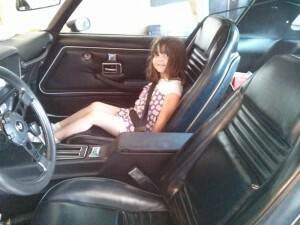 Lesson learned, if you have a 79-81 Firebird and are looking for a dash cap, get the Palco brand cover. The interior is coming together quickly !The window columns, rear sail panels and headliner and trim are now installed and look great! 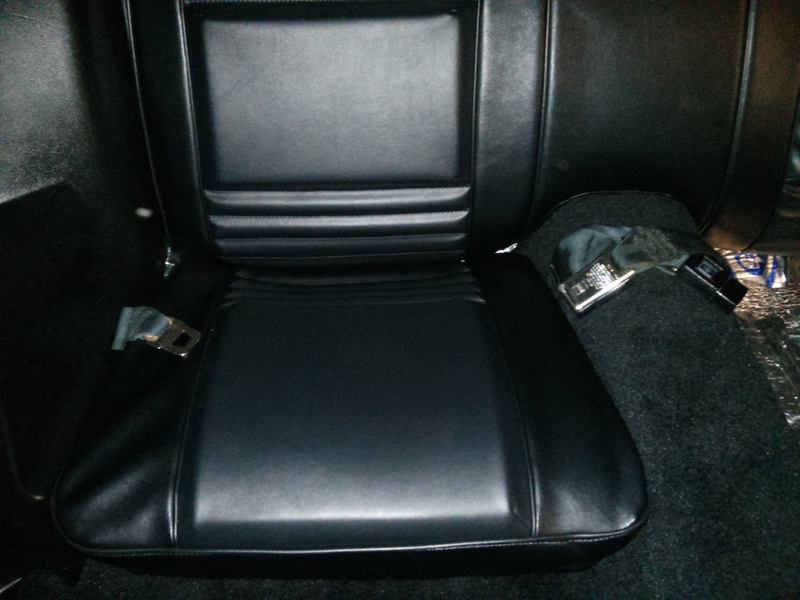 I also got the rear seat belts, seats and the inner front belts installed. 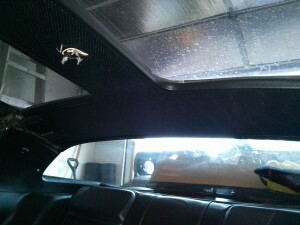 The headliner was the biggest challenge installing, though not technically difficult, you do need 2 people to install it. Luckily my wife had some free time to help me hold it in place while I got the trim pieces installed. 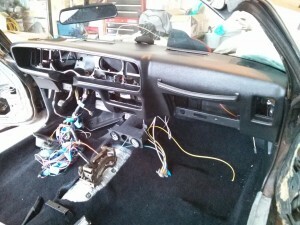 The dash installed quite smoothly. Unfortunately, installing the gauges was not so easy. 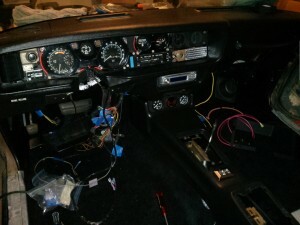 There is absolutely no room when working under the dash, pretty much each gauge, cluster and switch needs to be installed in a particular order, otherwise you’ll make things harder for yourself, screws become harder to access, etc… The only wire harnesses not hooked up at this point plug into the steering column. The center console was to be installed promptly after installing the dashboard. When it came time to install the console, I found the 4-AN to 1/8 NPT threaded adapter I got for my oil pressure gauge did not match the thread output on the AutoMeter gauge itself. 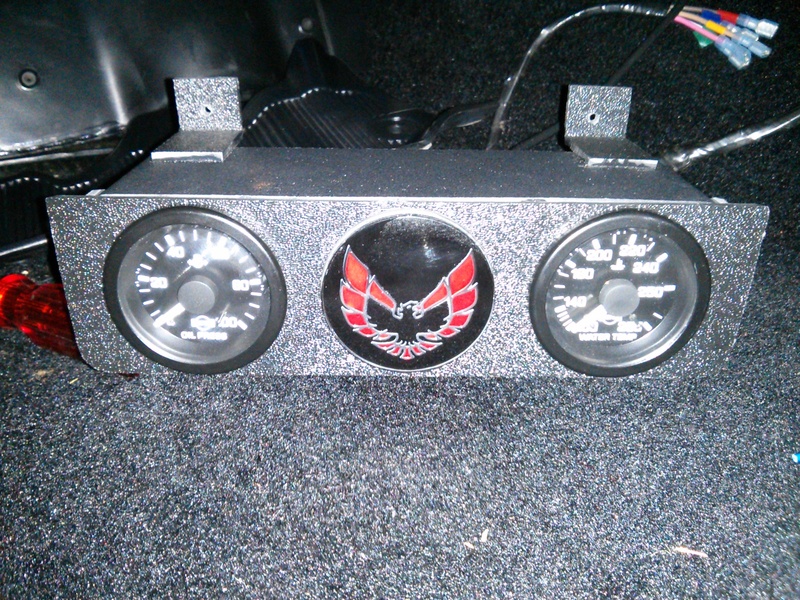 After doing some research, I found that the AutoMeter “AutoGage” gauges are budget gauges, designed to compete with the low end gauges like SunPro’s or Harbor Freight’s gauges. The connectors exclusively use pressure fittings, which cannot be converted to NPT (pipe fittings). The process lead me to purchase another set of oil pressure and water temperature gauges. I already decided I wanted black gauges with white lettering and white needles, with black bezels. This combination would match the factory gauges perfectly. Unfortunately, most brands use either chrome bezels and/or needles with red pointers. After doing a lot of research, I discovered a brand of gauges called ISSPro, which are very popular in the diesel / trucking industry. They are a perfect match to my gauges! 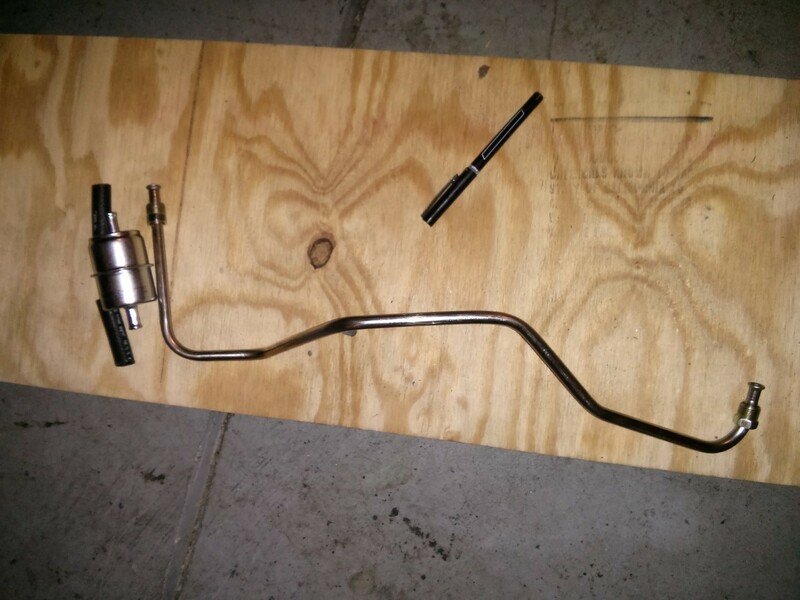 Not only that, the fittings on the back of the gauge was the correct 1/8 NPT. They are now on order ad should arrive in early May. 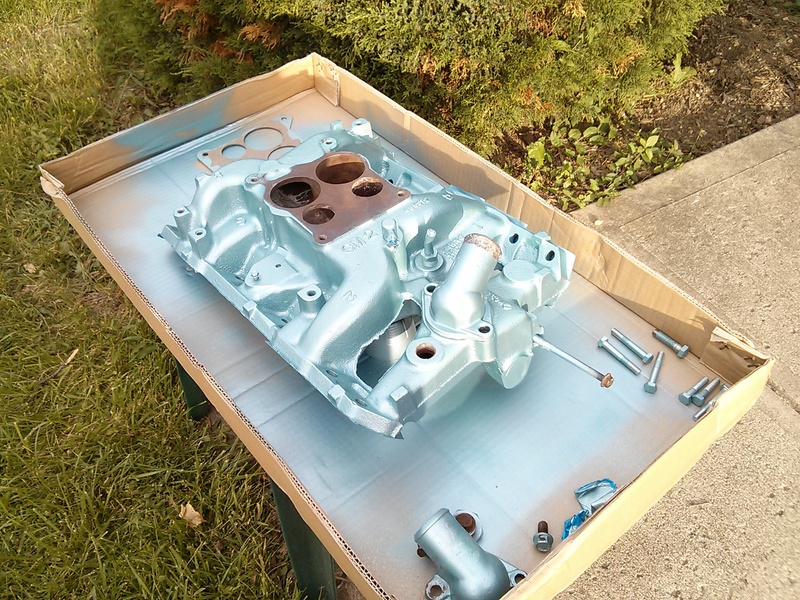 When the weather broke 60 degrees, I took the opportunity to paint the parts I had sand blasted over the winter. 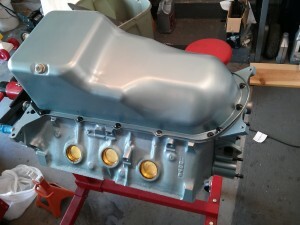 The hood hinges I painted with Dupli-Color etching primer topped with Dupli-Color cast iron coat engine enamel. The air cleaner got Rustoleum clean metal primer followed by Rustoleum Semi-Gloss black. I took my transmission, a TH-350 that came with the Pontiac 400 I bought 3 years ago, to a buddy of mine to clean it up, install new seals, filter and a TransGo shift kit. I went with the stage 2 of the stage 1-2 shift kit. 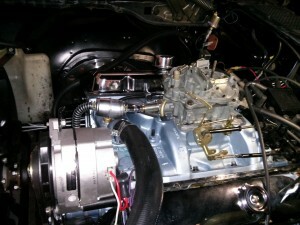 Tim went above and beyond cleaning the transmission, it looks brand new! When the motor is done, I will bolt this onto the motor right before installing into the car. The shift kit should work great with the built-in ratcheting shifter in the Trans Am. Not too many folks know about the ratcheting feature, it’s not as fancy as an aftermarket ratcheting shifter, but it’s factory and works quite well. In May, the plan is to finish installing the interior and assemble the motor. Hopefully over Memorial day weekend I can get the motor with transmission mounted in the car, leaving June for wiring up the engine, installing the remaining hoses and lines to plan on Father’s day to test run the motor! February was one very busy month, the amount of time I got in the garage shows. Sorry only one picture this month. On the second week of February we had one of those 49 degree winter days, so I used the opportunity to paint the intermediate shaft. It came out excellent. 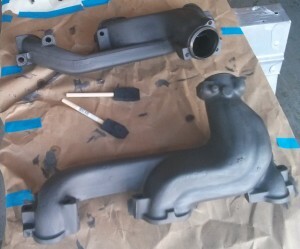 I used Dupli-Color etching primer followed by Dupli-Color engine enamel cast gray. It looks pretty darn close to the natural metal finish. 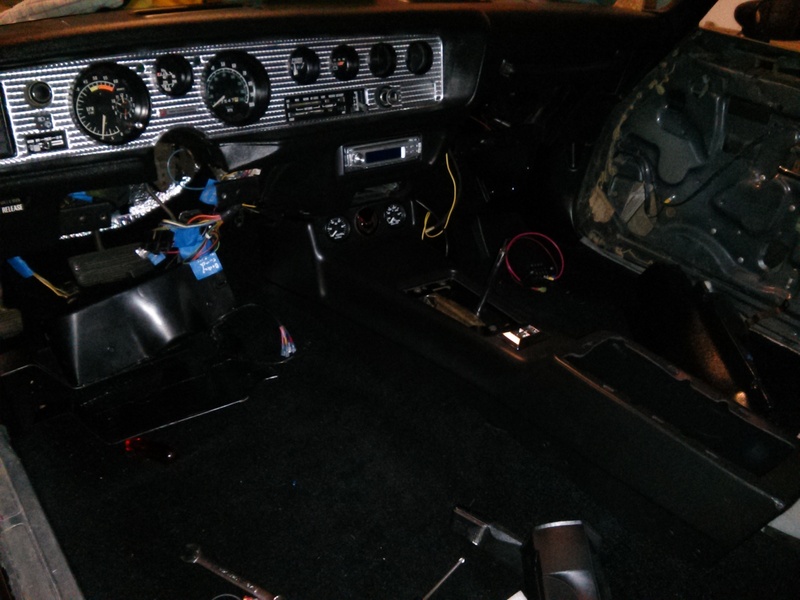 While I finish installing the insulation on the floors, I went ahead and installed the floor shifter. I also painted the top plate, which I will install when it comes time to install the center console. I started preparing the dashboard for reinstalling into the car. 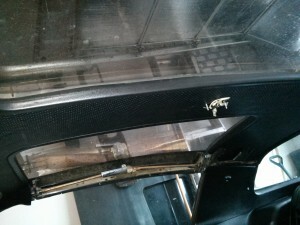 While test fitting the dash cap I got last summer, I noticed I had a gap fitment problem. 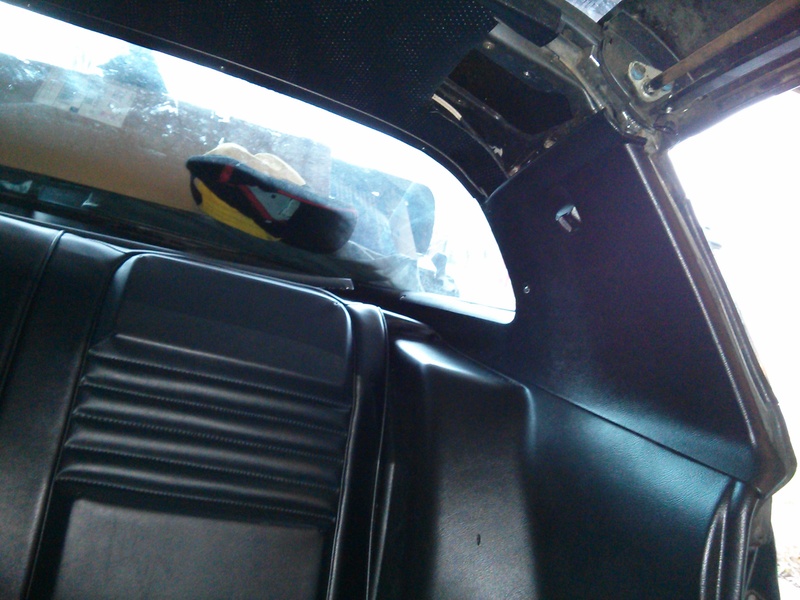 I then took the spare dash I have in the crawl space and tested the cap on that dash, and it had the same problem. I called the dash cap company and within3 days they got back to me and said they would send me a replacement cap in the coming week. While I got the dash out and apart, I also fixed the grab handle mounting so the handle is nice and tight. I used some scrap pieces of plastic I had for other projects to reinforce the backing of the grab handle mounting tabs. 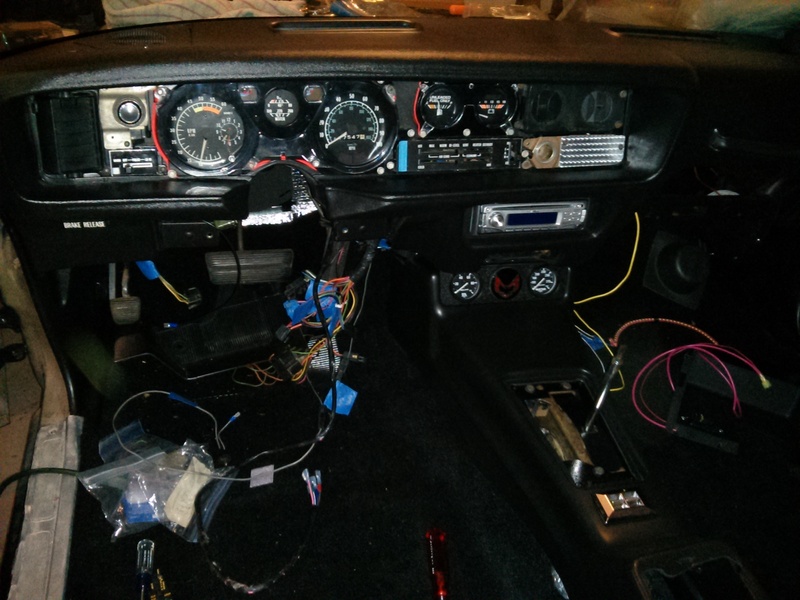 I’m currently taking measurements of the space above the glove box to see if that would be a good spot to mount my 4 port fuse box that I plan on using for both the radio constant power and power windows. This 4 blade fuse terminal will be wired directly to the battery/alternator, providing plenty of power for the windows and stereo. If my plan works, the fuses will be mounted above the glove box, so only someone who knows to look would know the fuses are there. Believe it or not, I have 6 more spots I want to put small patches of insulation on the floor. Once that’s done I will be installing the carpet, kick panels dash, gauges, center console, steering column and front seats. 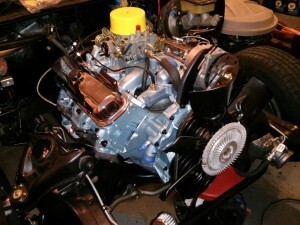 I expect to have all of this done in March leaving April for working on the engine and transmission.